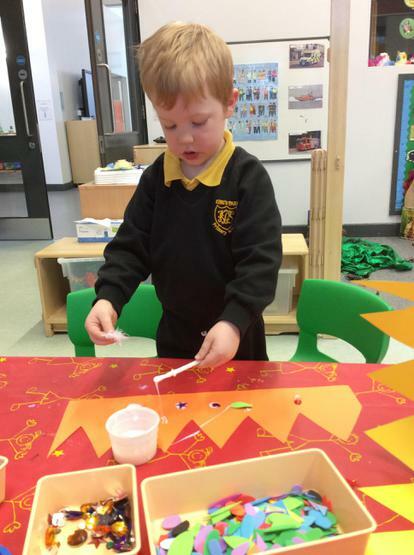 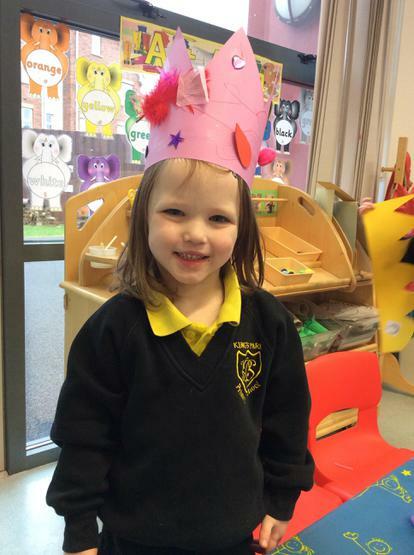 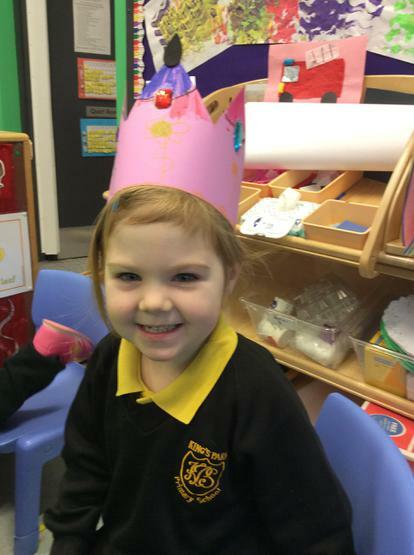 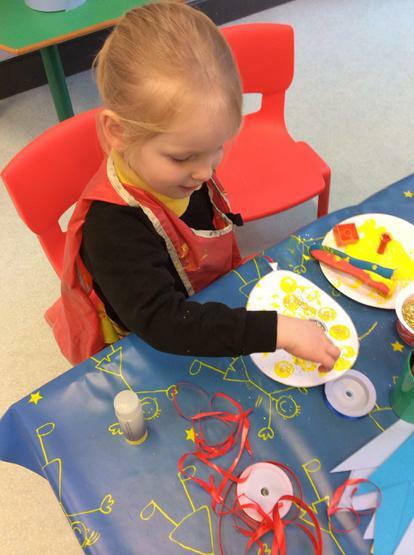 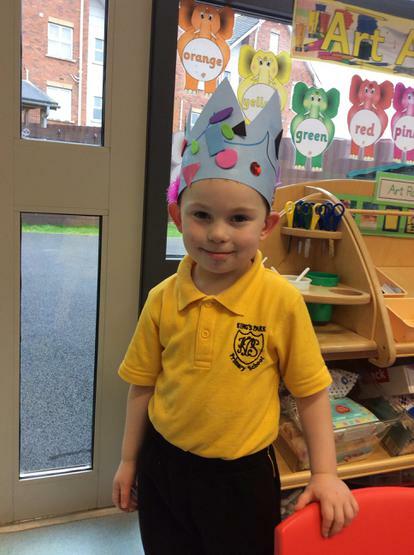 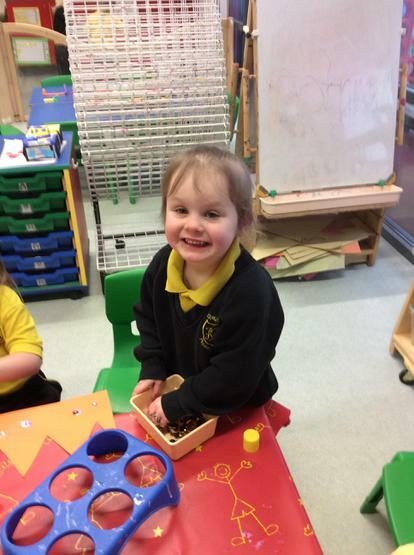 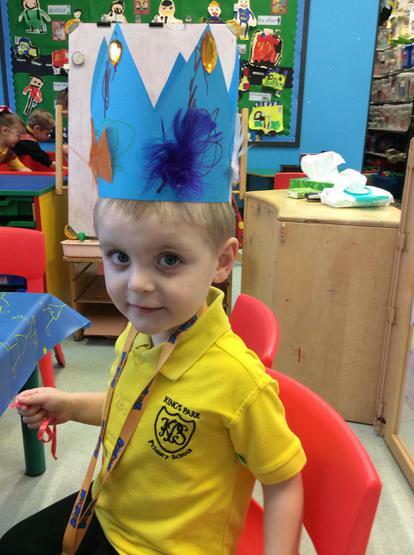 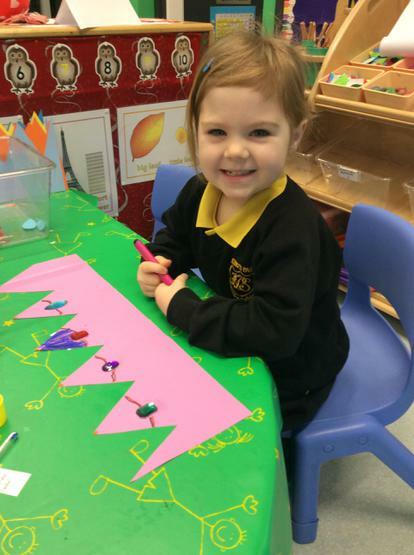 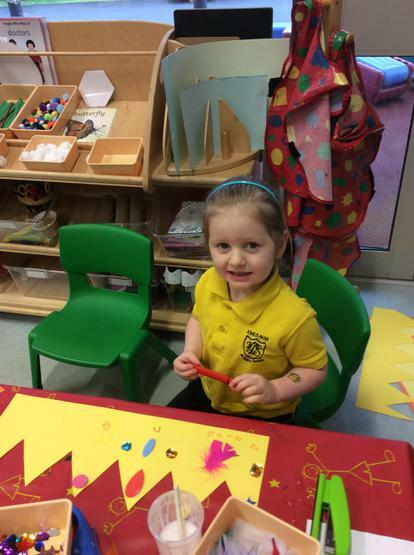 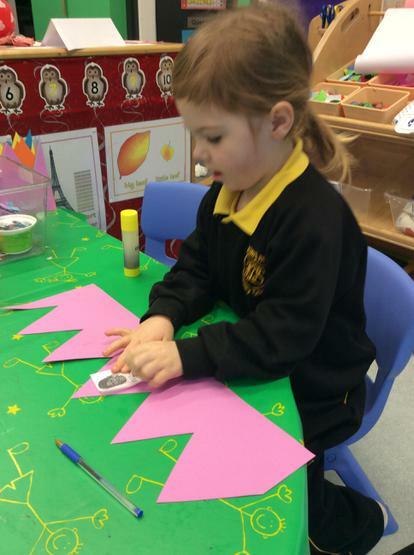 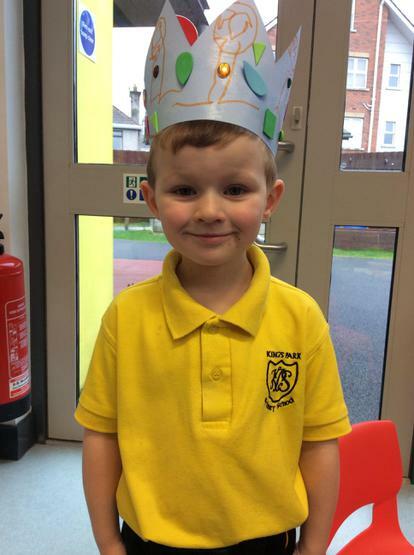 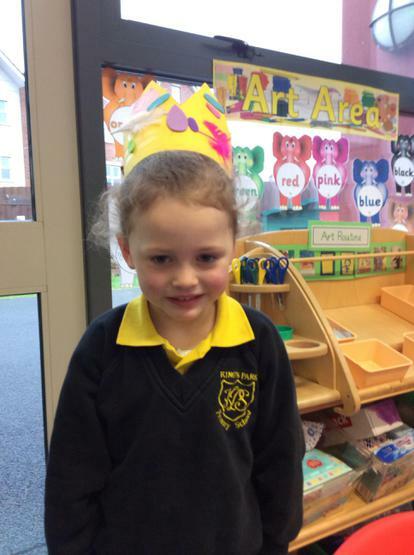 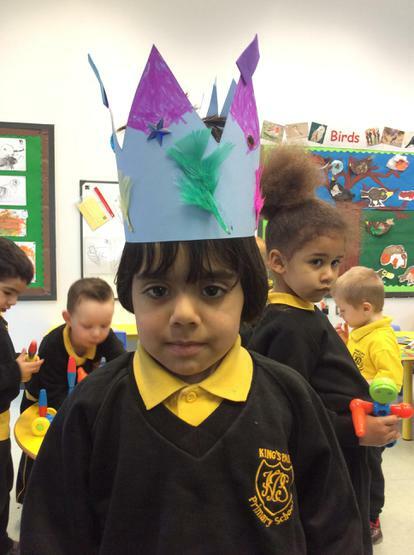 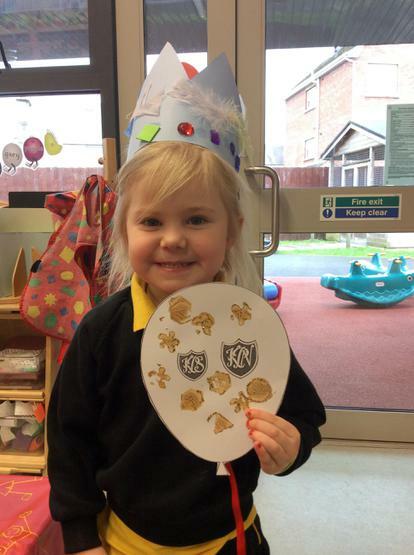 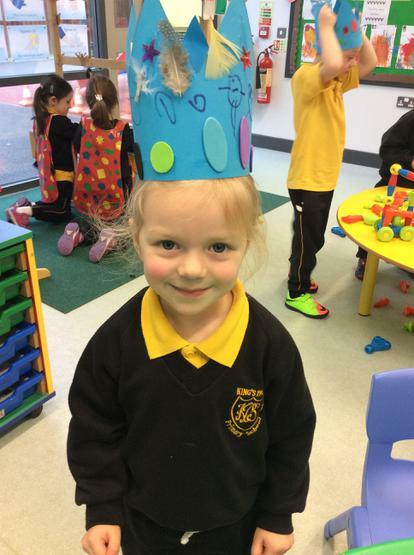 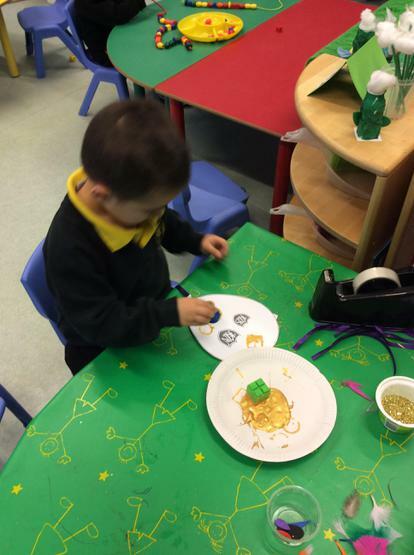 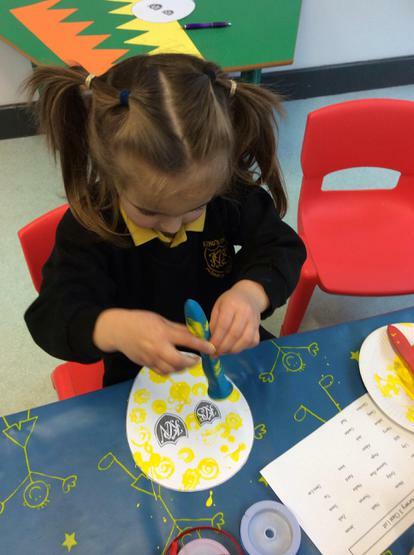 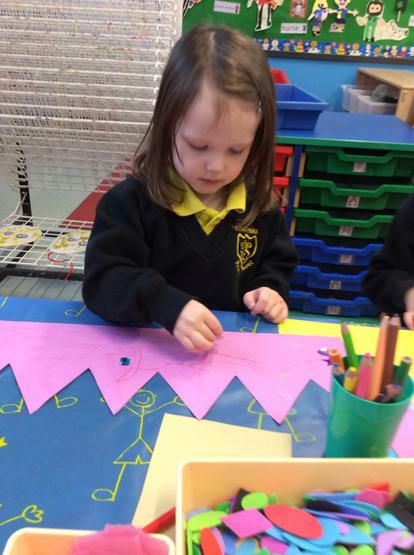 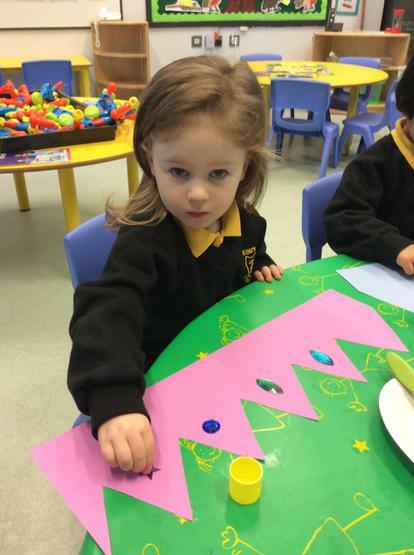 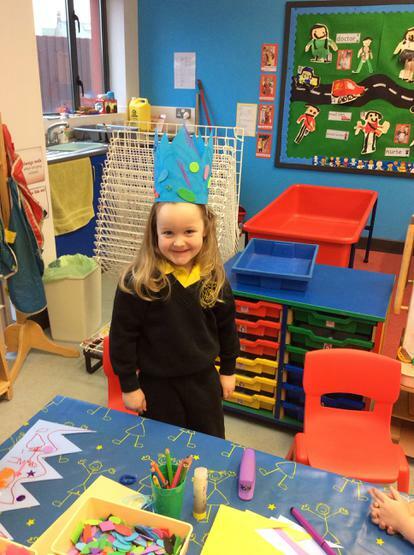 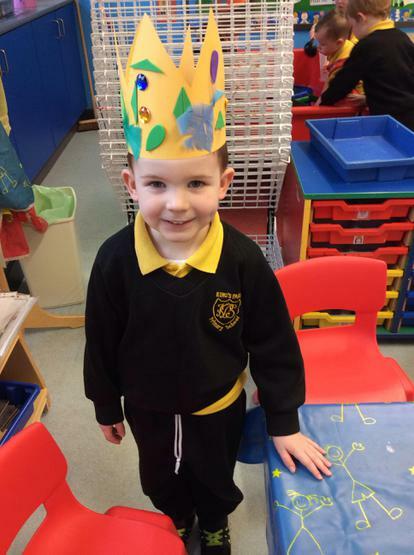 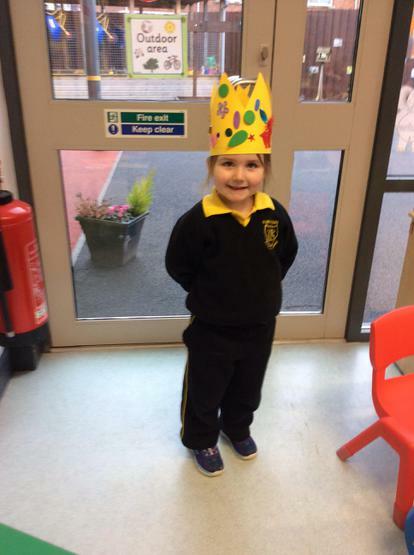 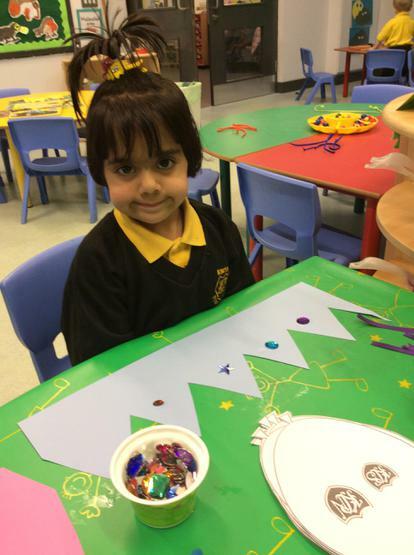 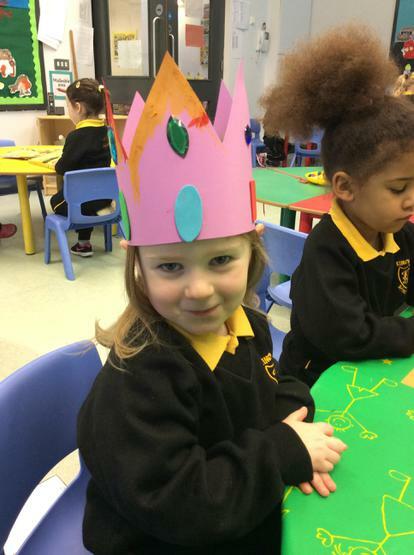 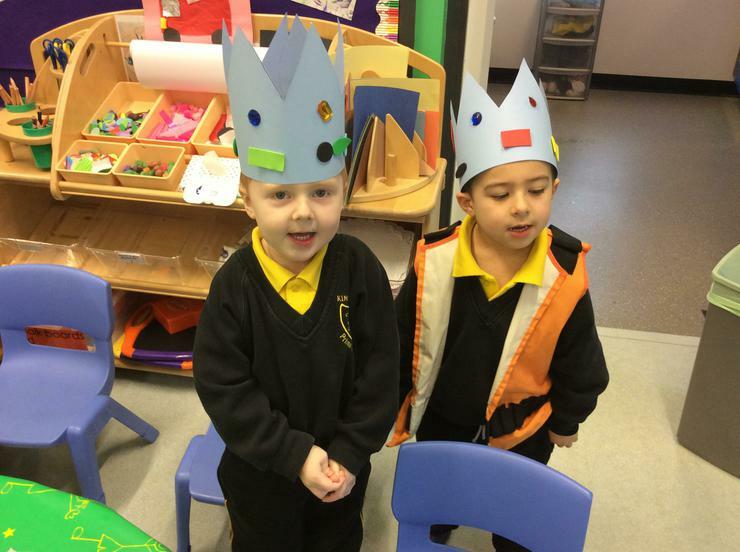 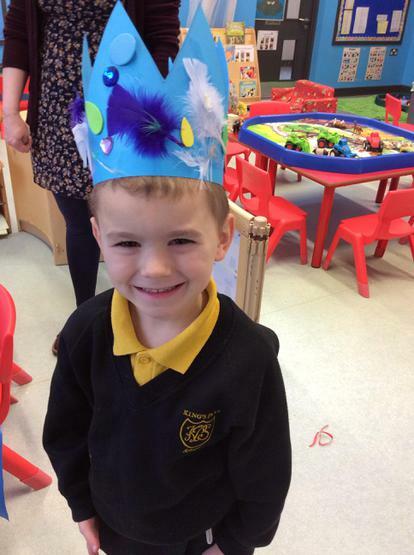 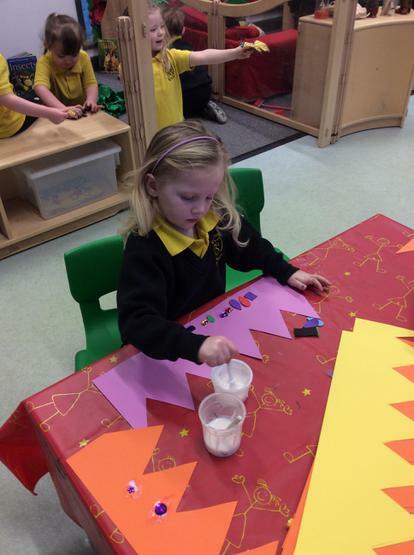 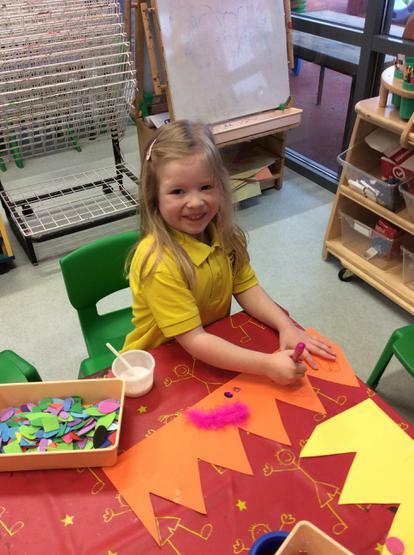 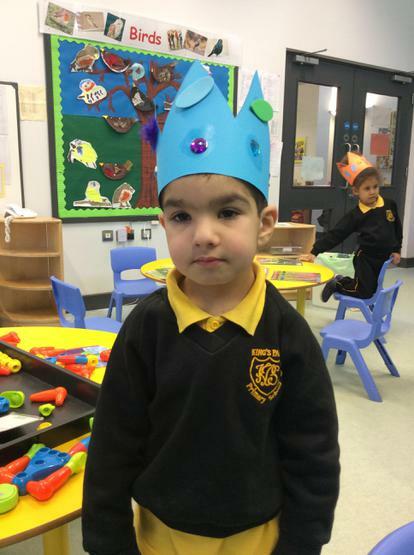 In Nursery we made special birthday crowns and balloons. 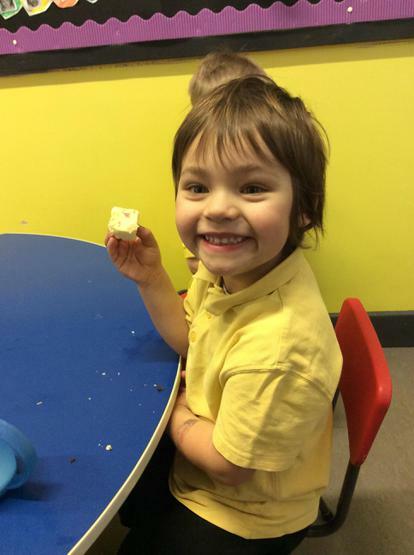 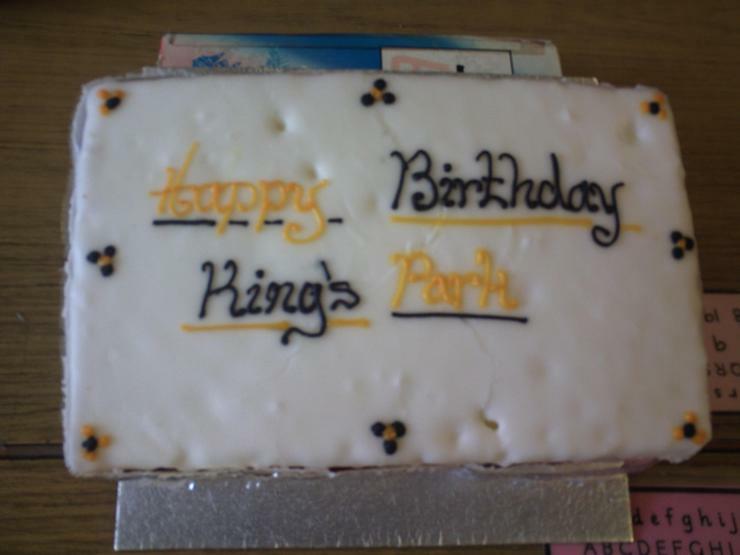 We also had a special break with a birthday cake to celebrate King's Park's 80th Birthday. 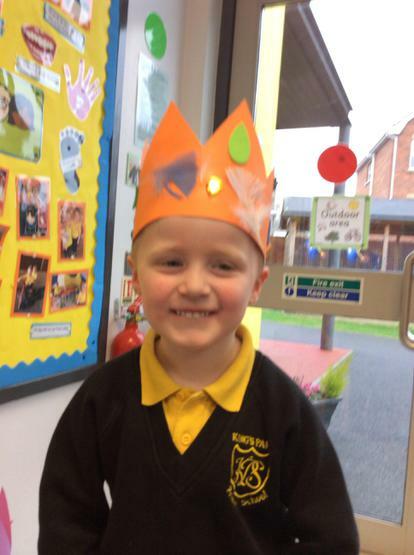 We had a great day and all wore our crowns during the day and brought them home and also our beautiful balloons. 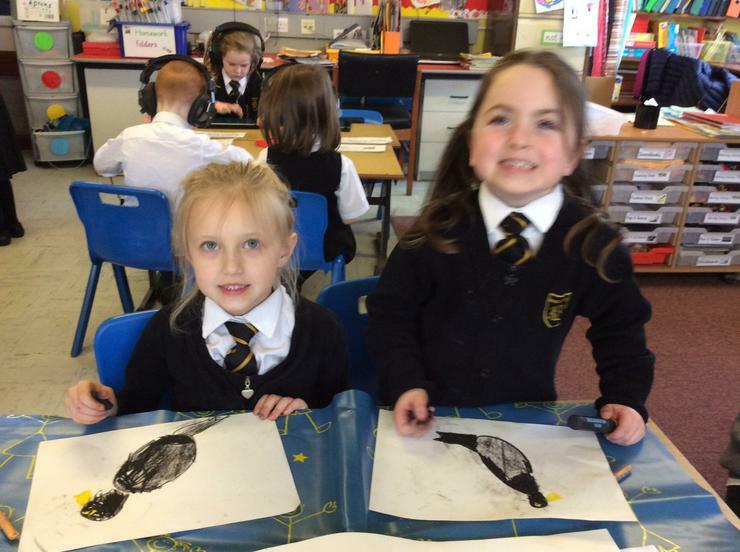 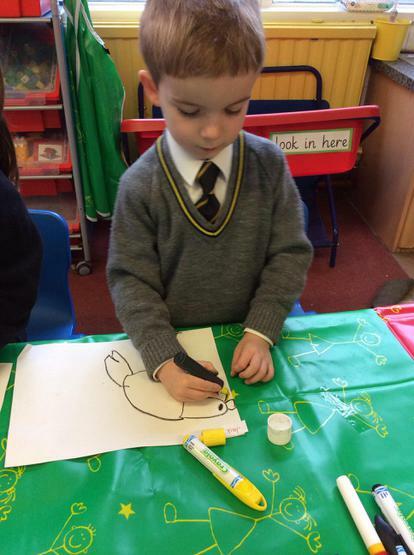 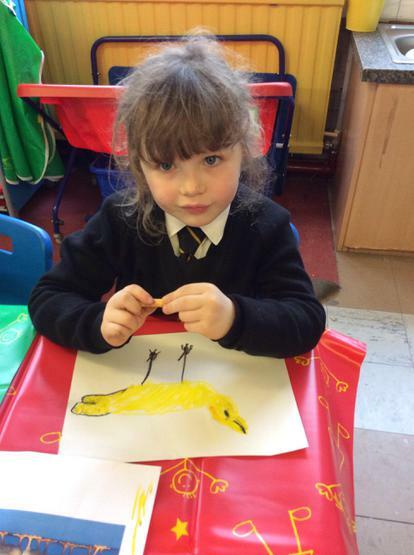 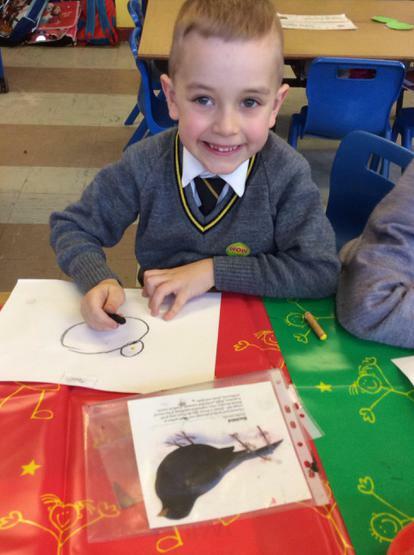 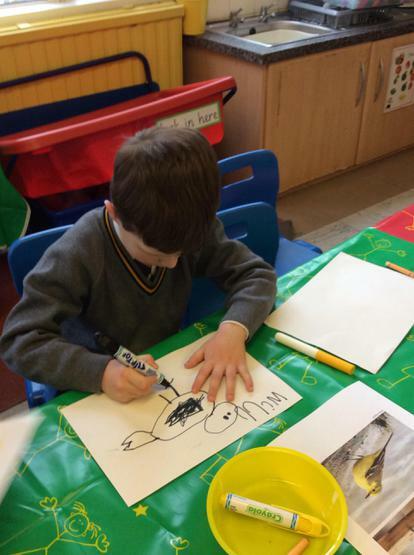 P1 Mrs McClements- we drew birds for our Lurgan Park display! 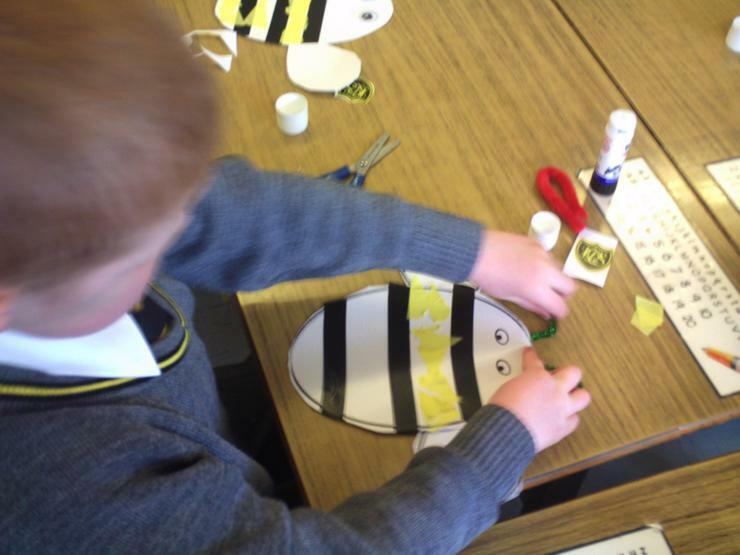 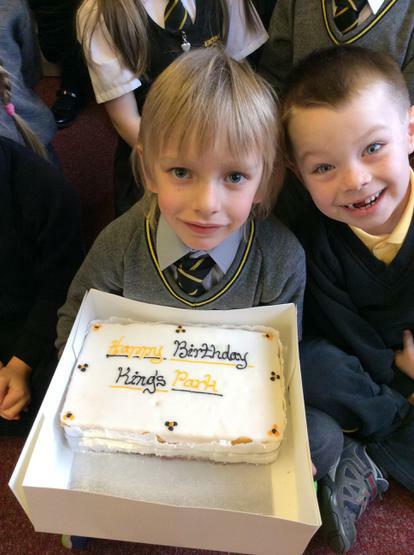 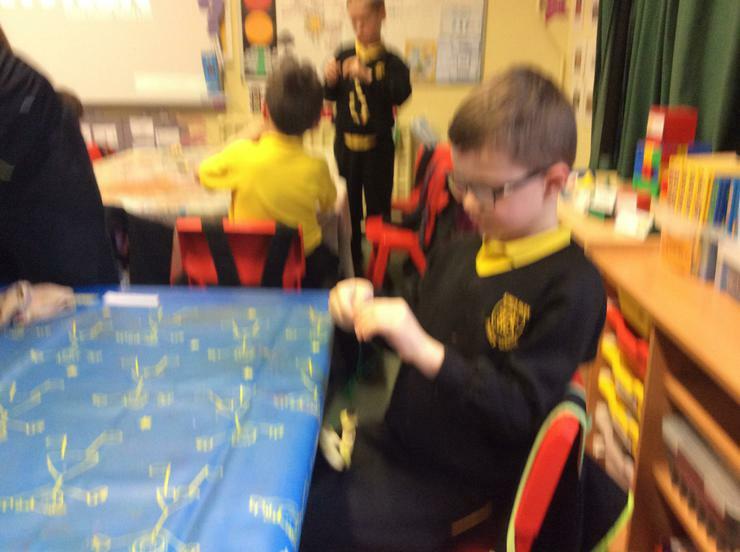 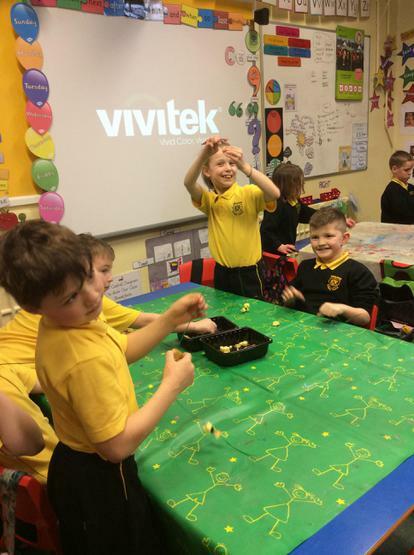 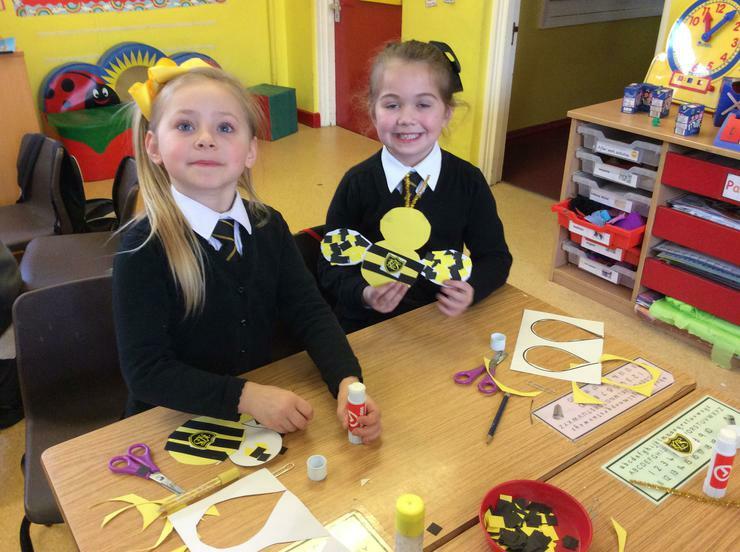 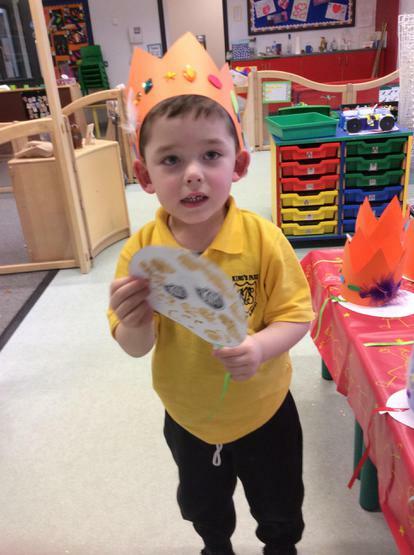 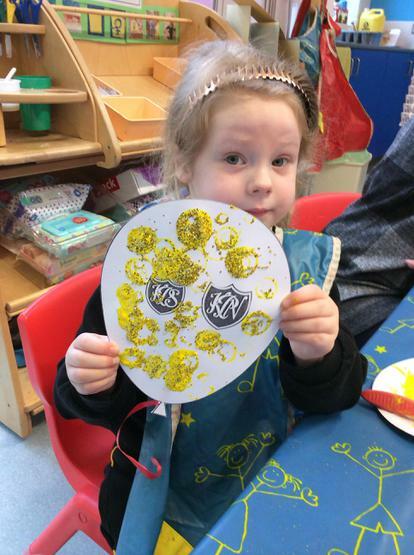 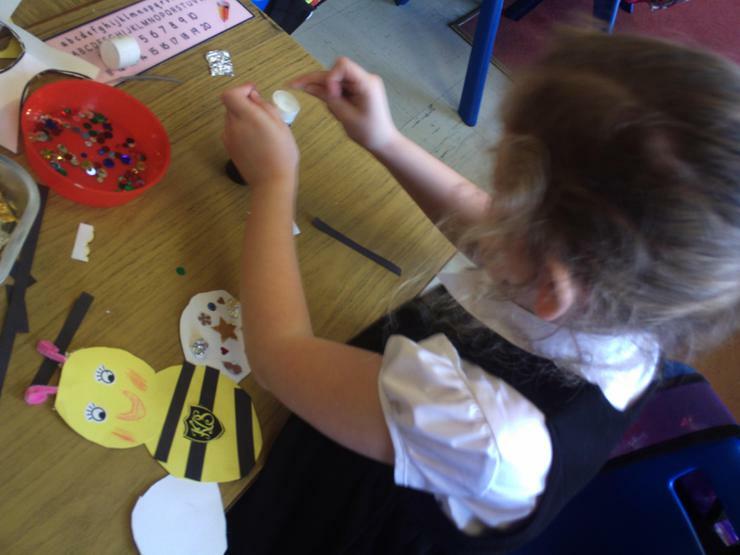 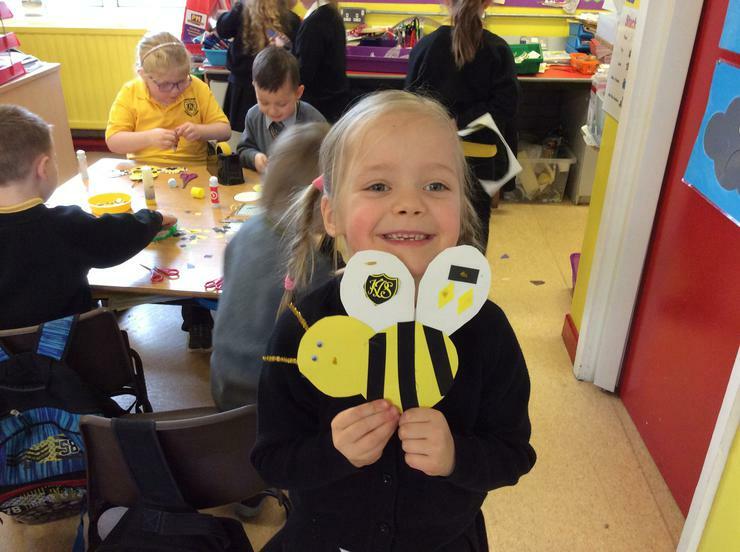 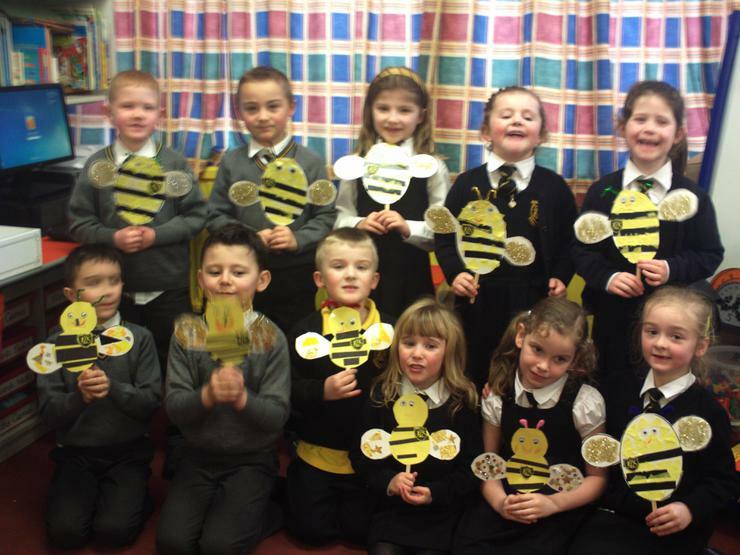 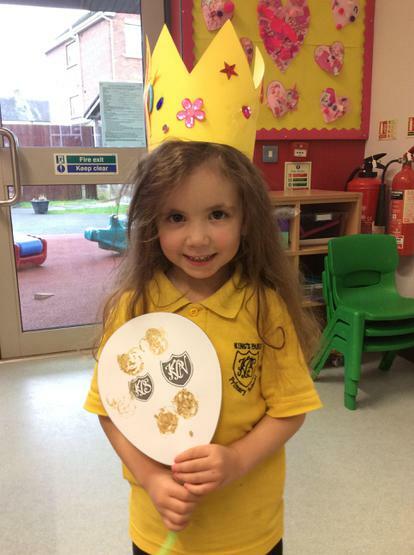 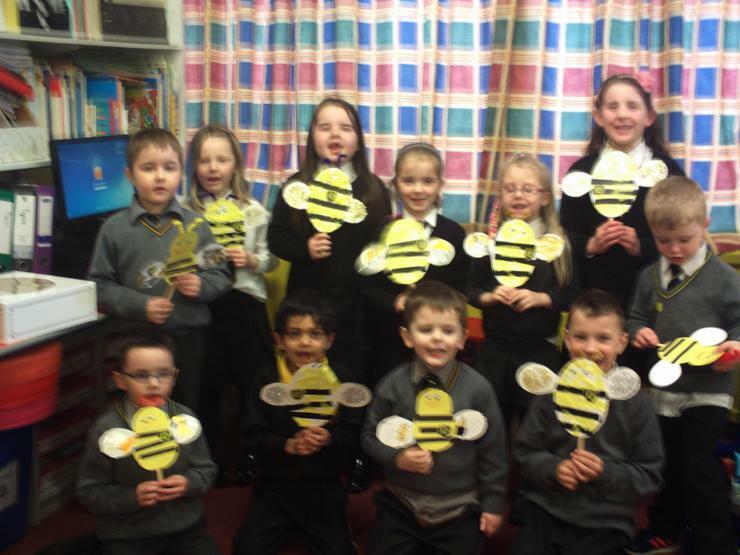 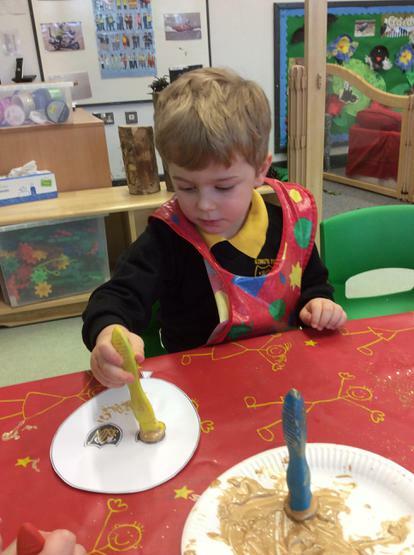 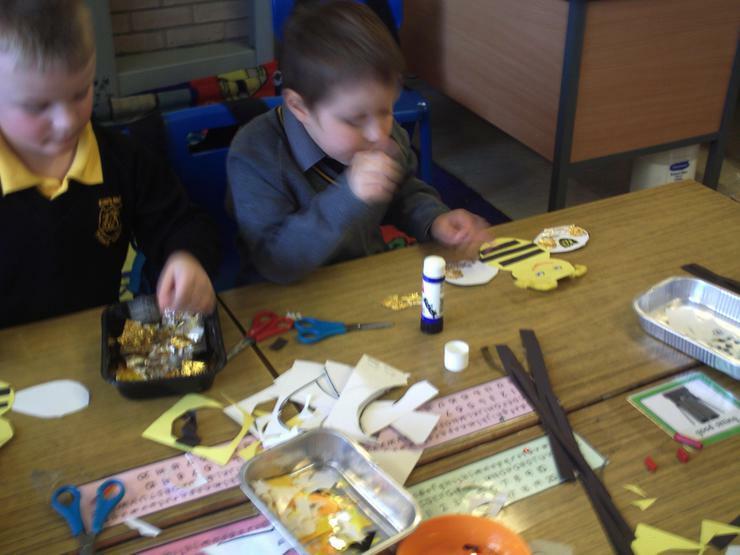 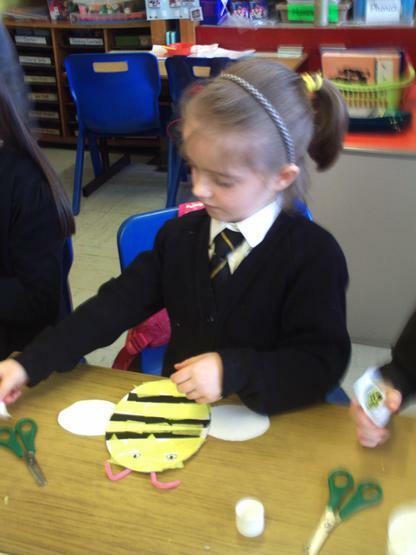 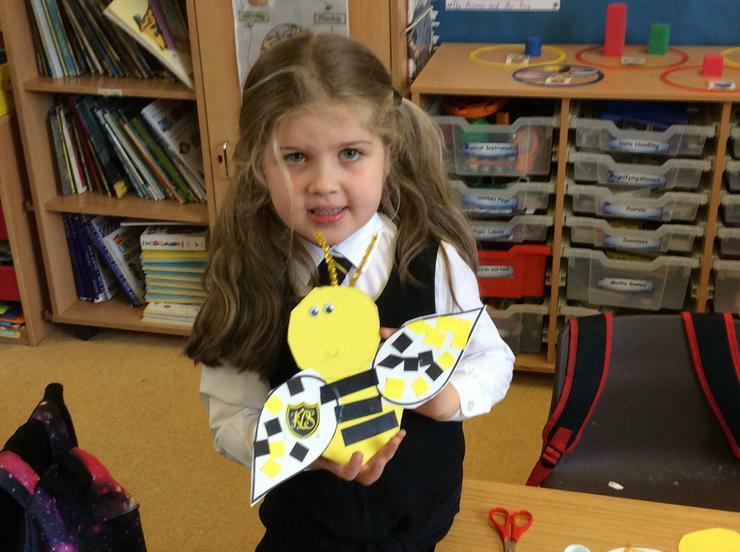 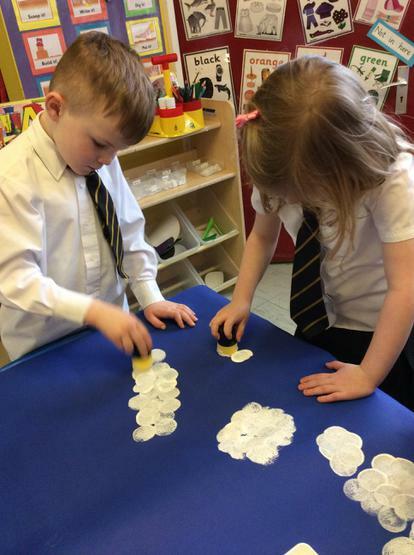 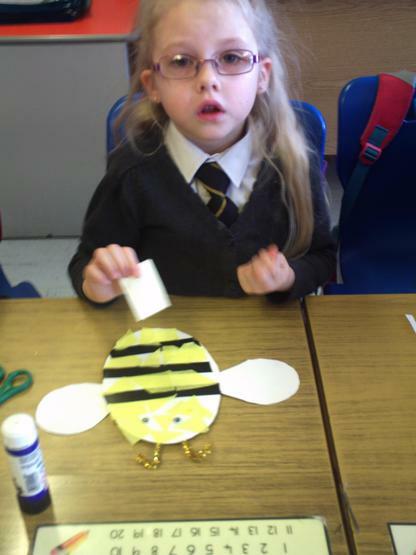 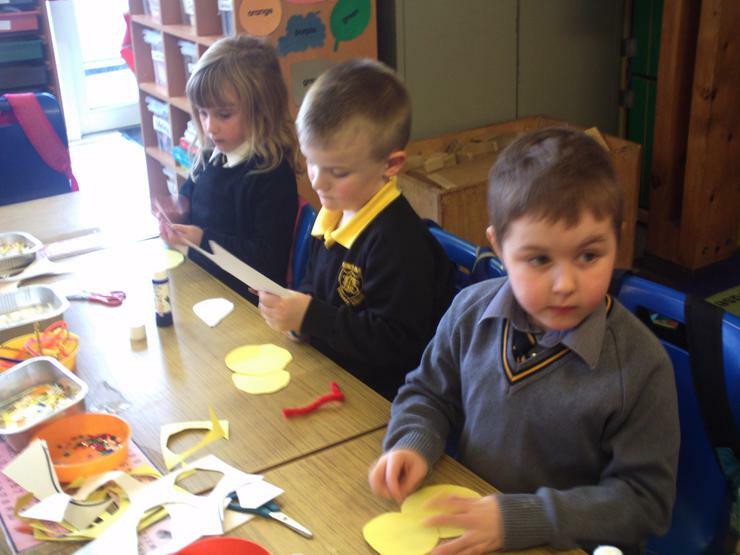 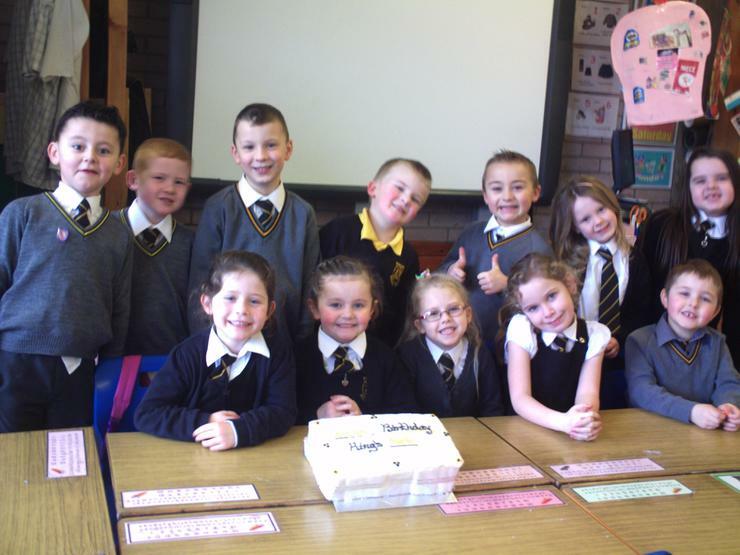 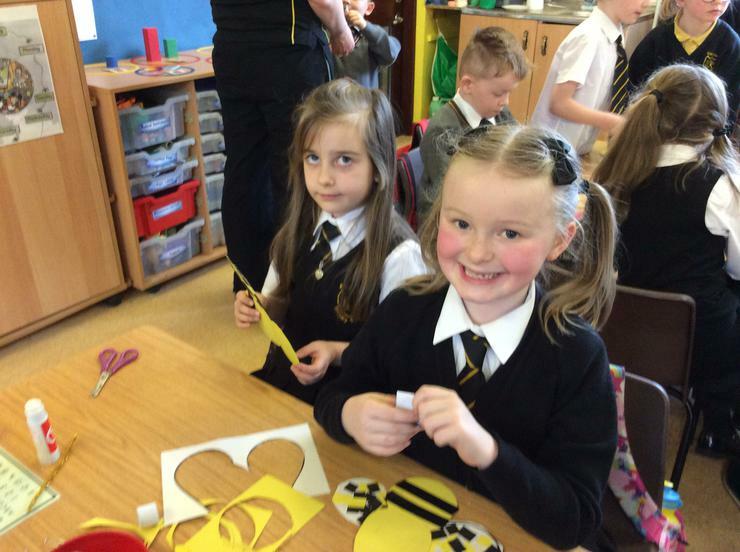 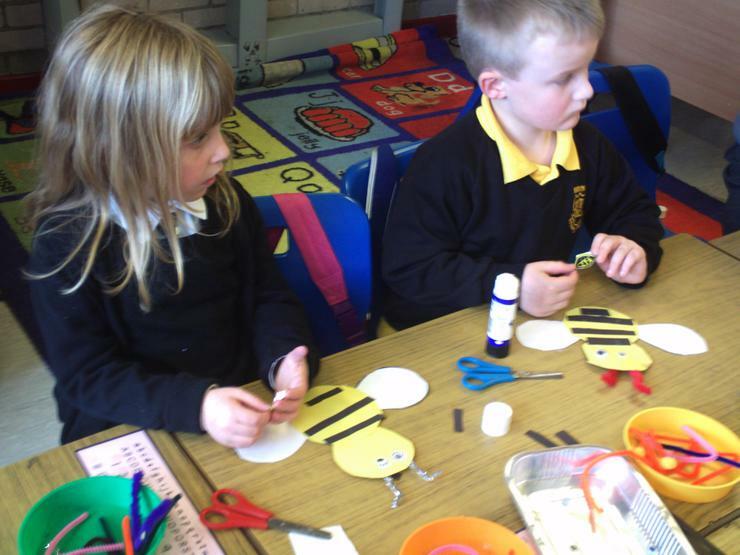 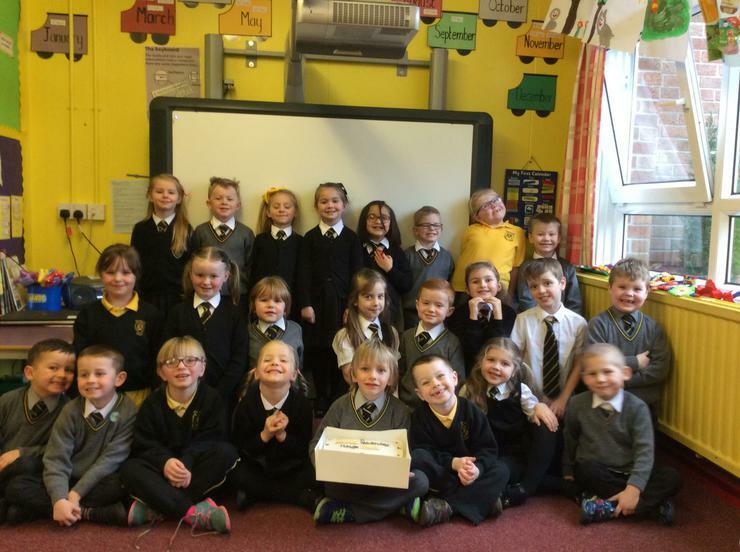 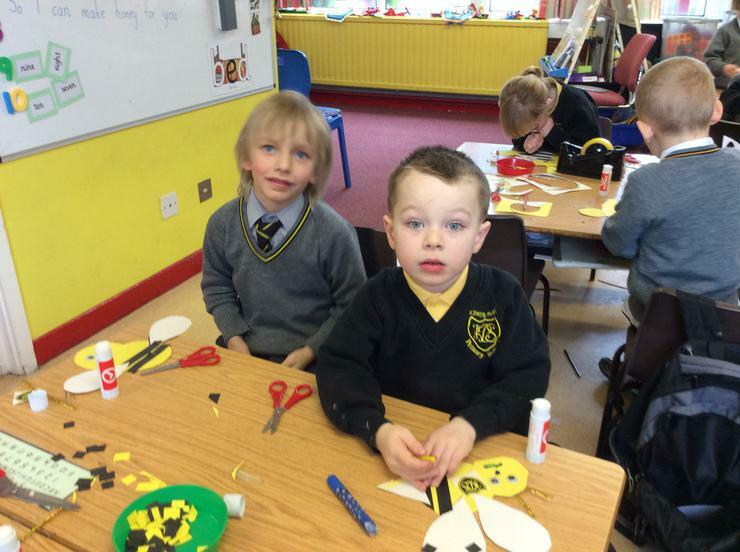 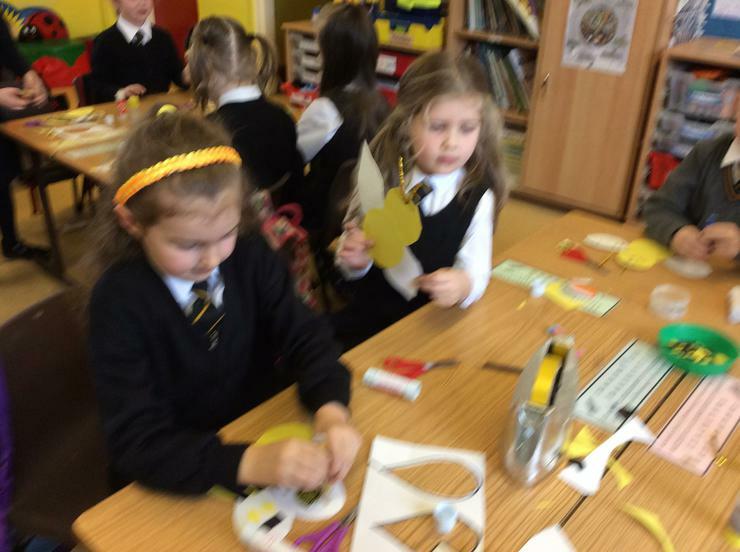 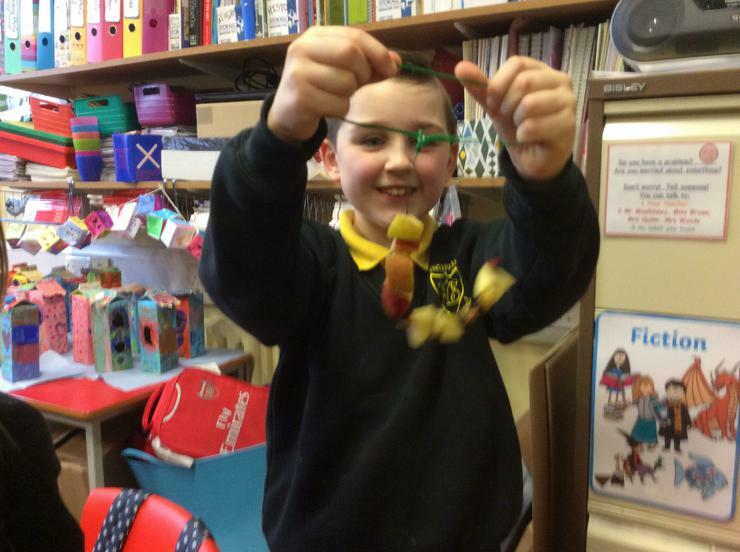 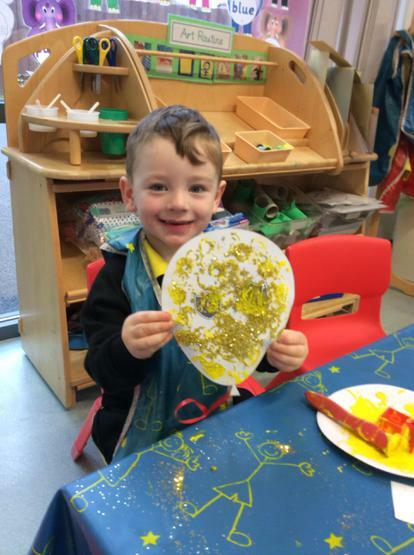 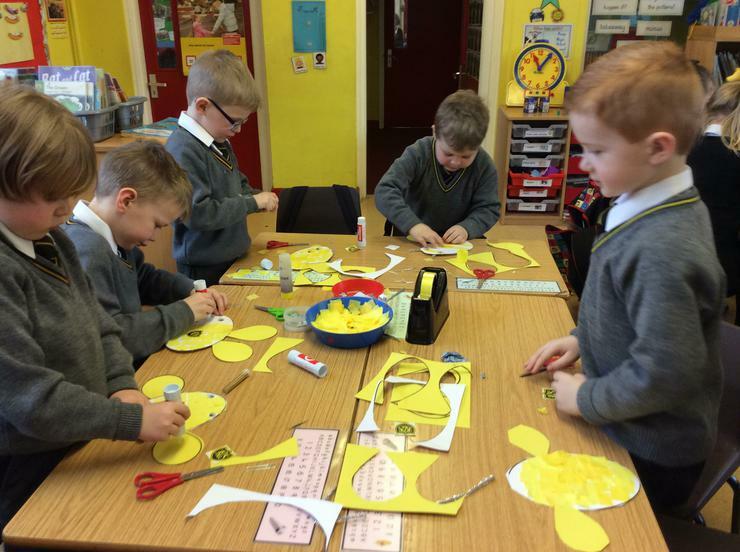 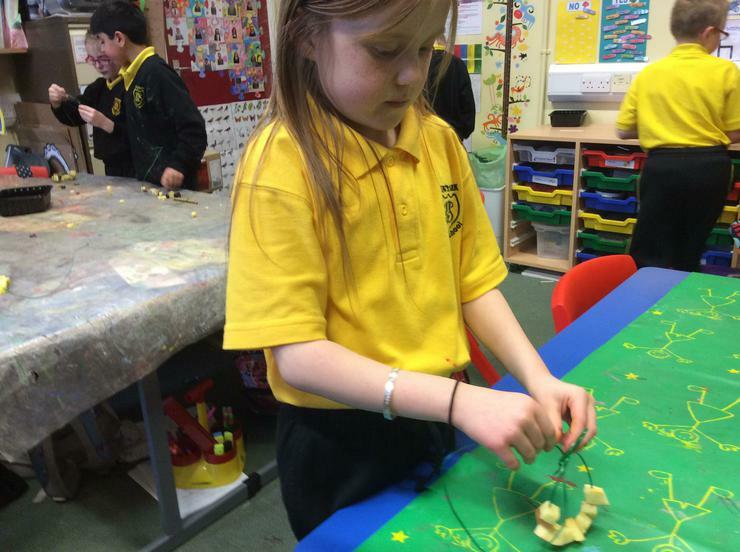 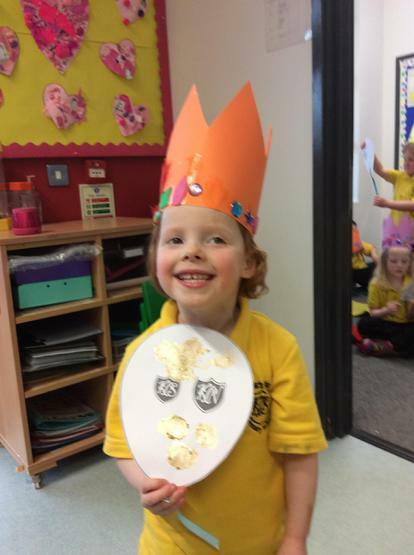 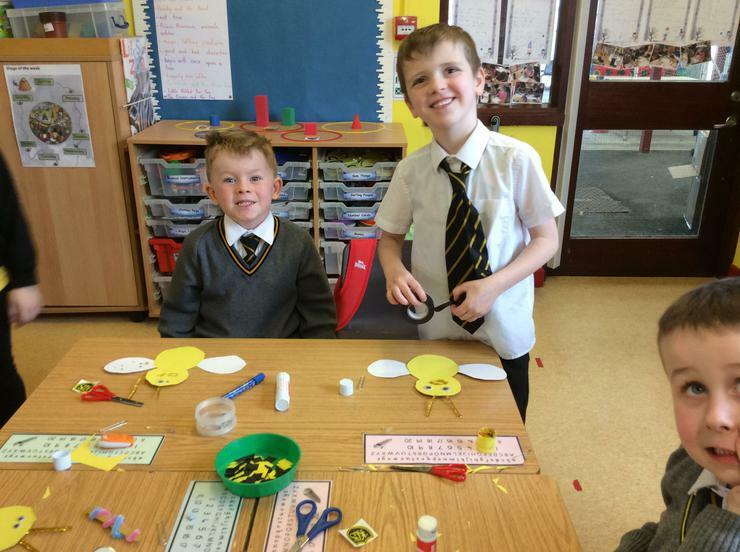 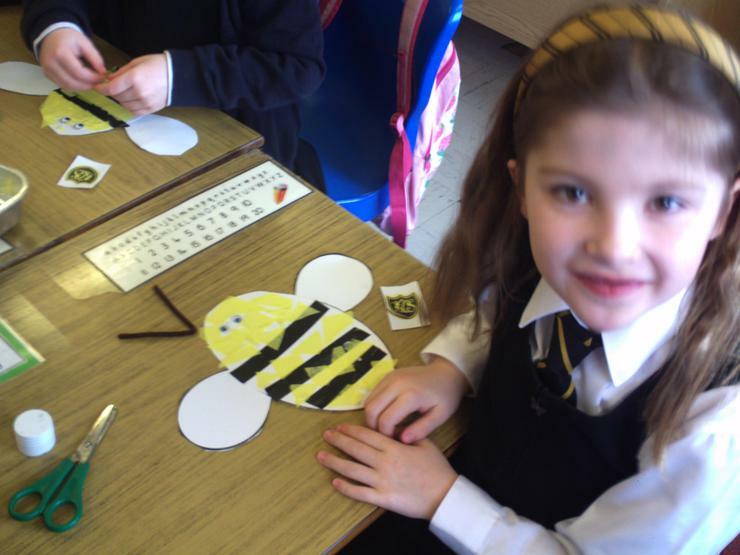 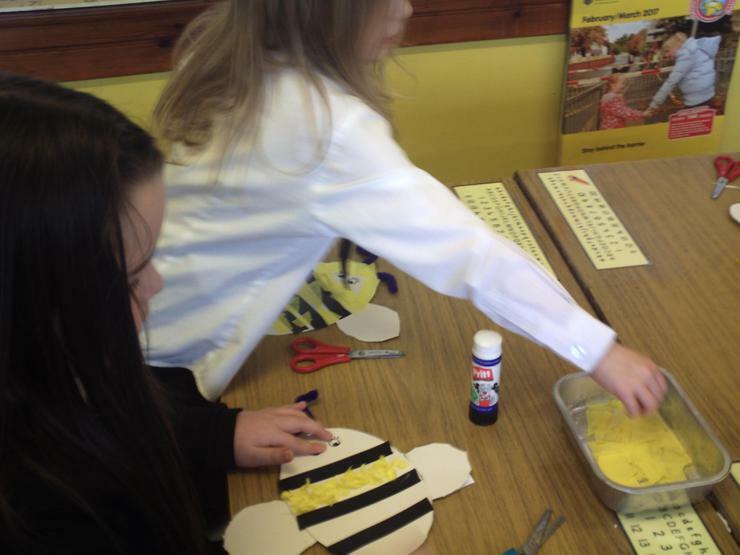 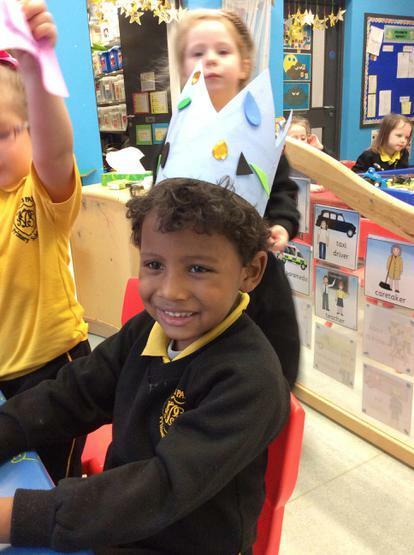 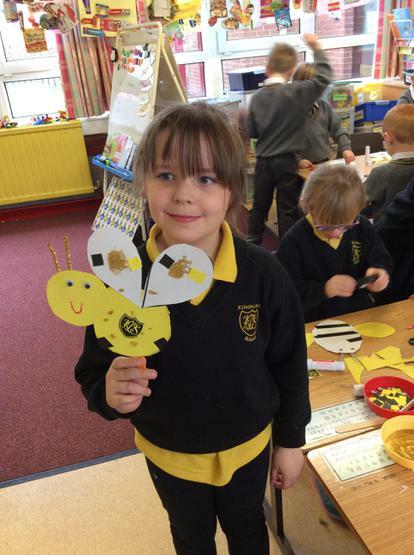 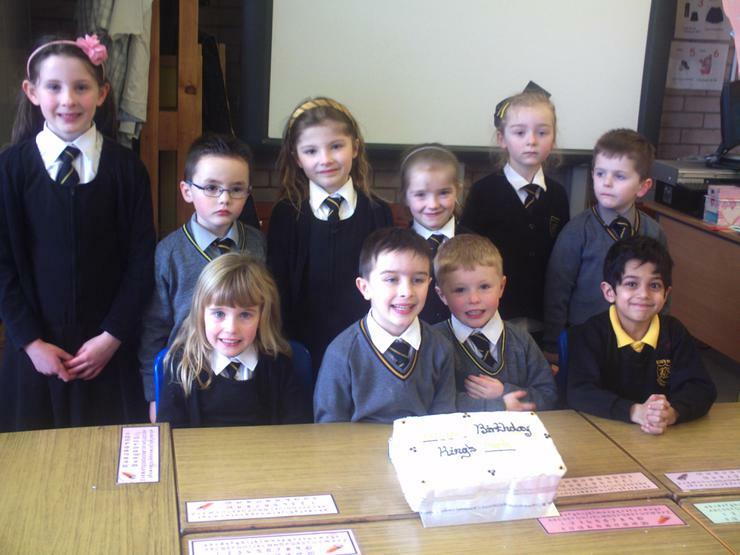 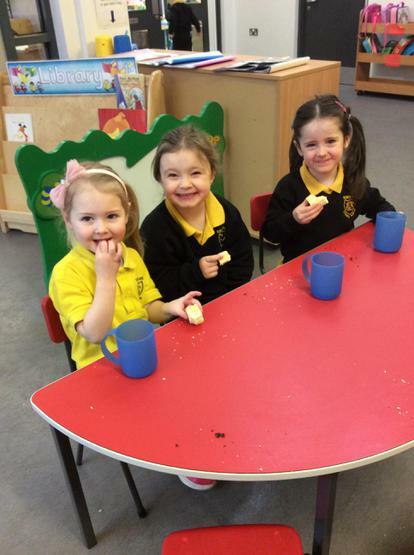 Mrs McBrides P2 class made King's Park Birthday Bees. 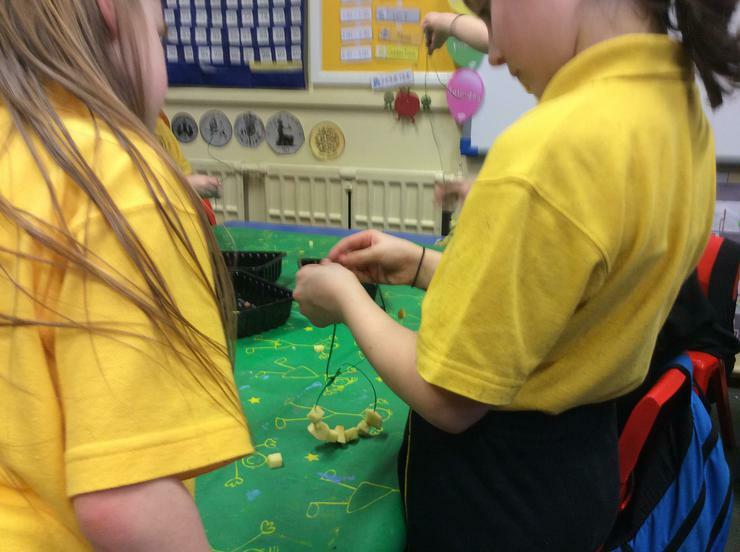 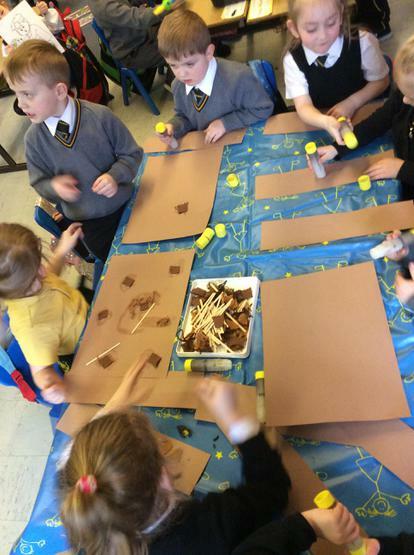 P1 Mrs Henning- we chose from different materials to make bird's nests and eggs for our Lurgan Park display. 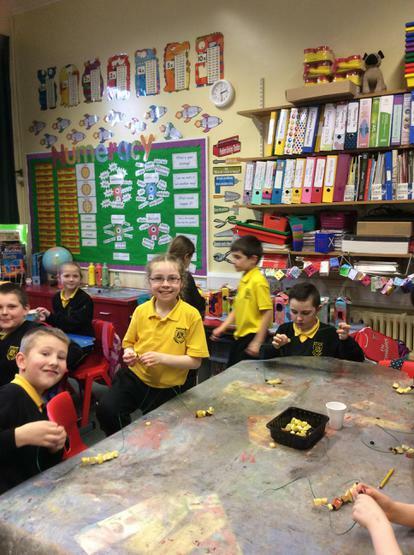 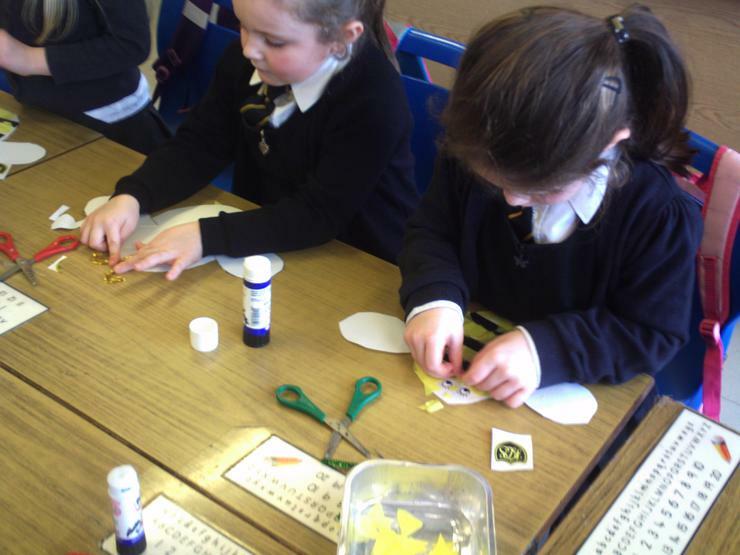 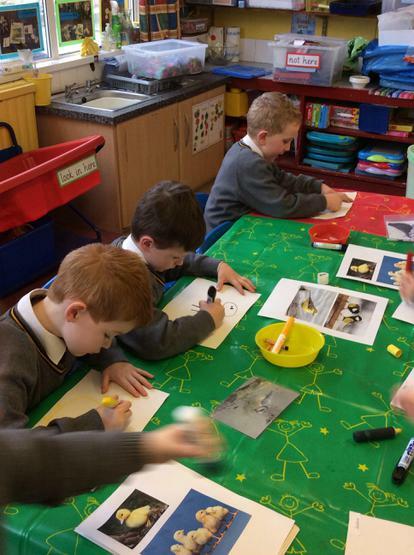 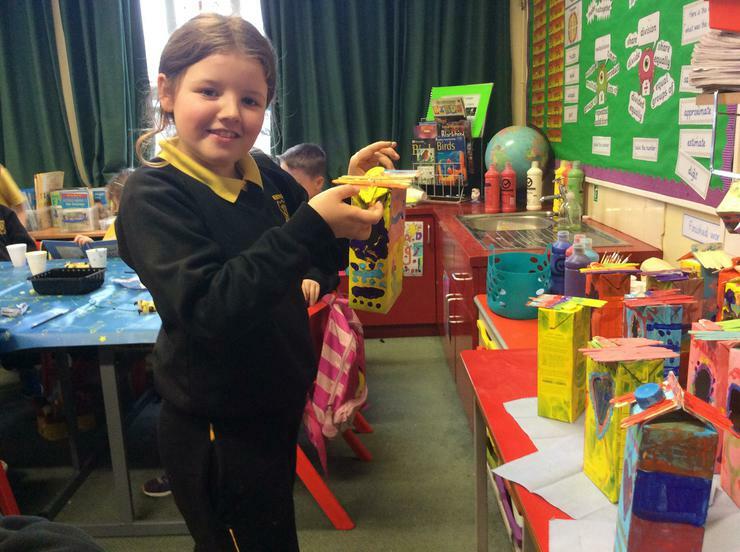 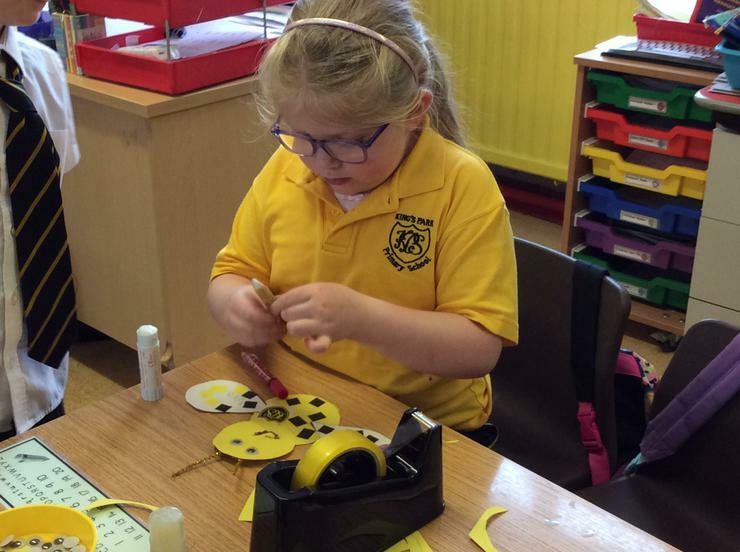 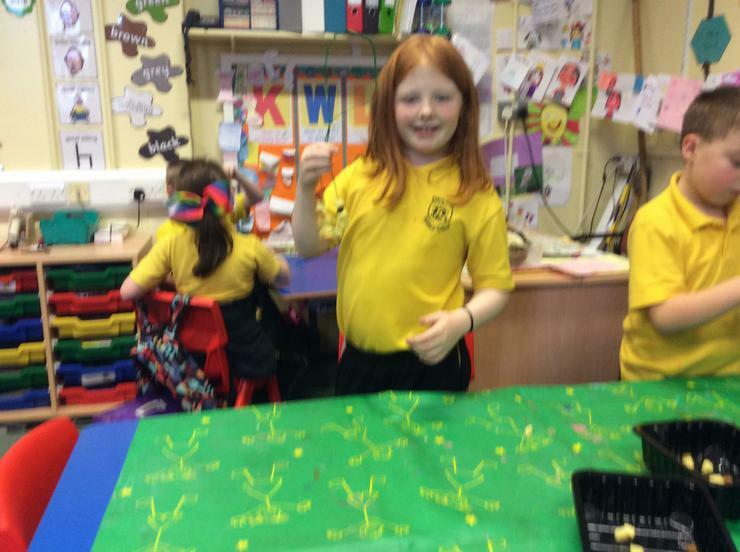 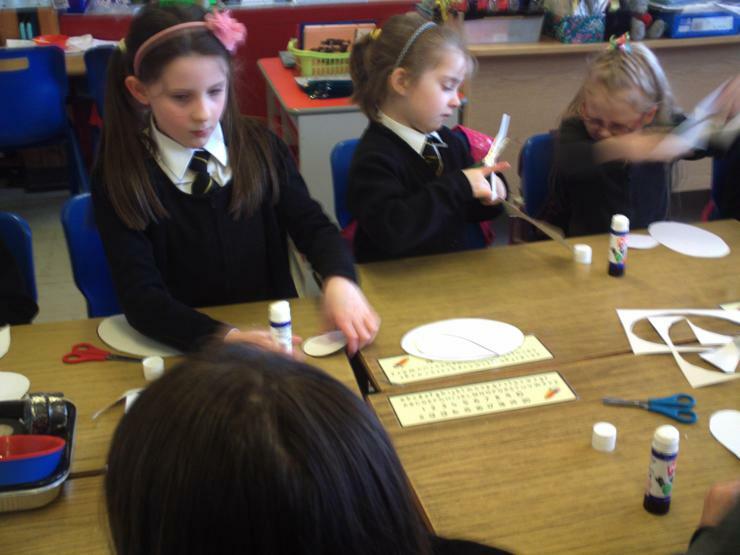 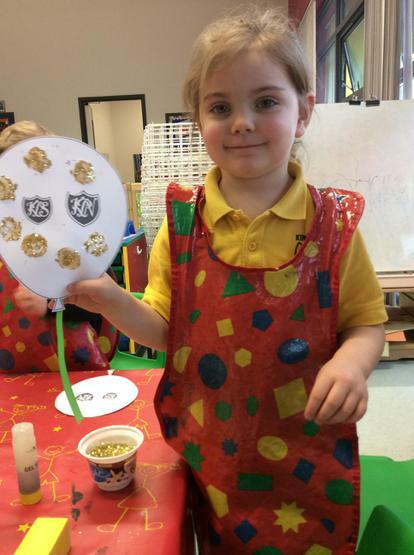 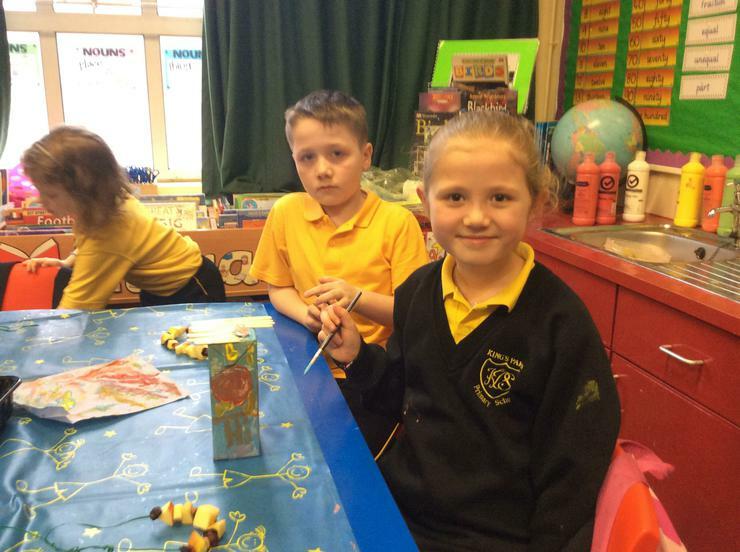 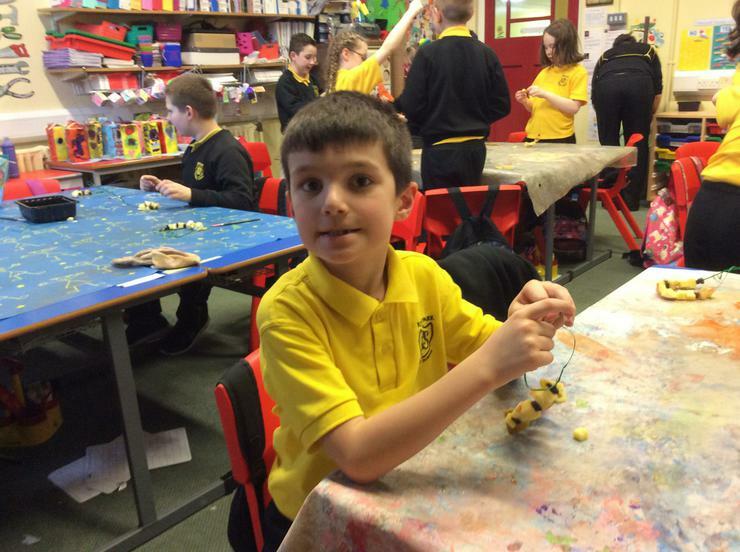 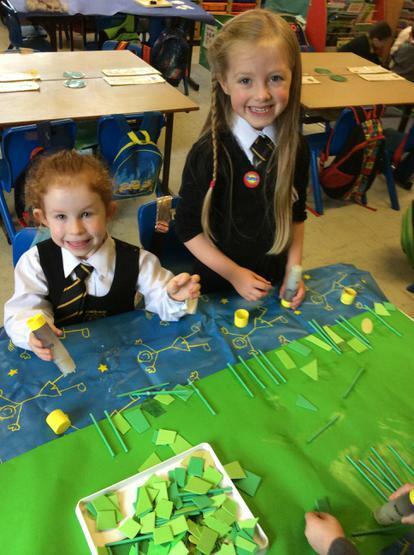 Art Day P4G - We designed and painted bird feeders. 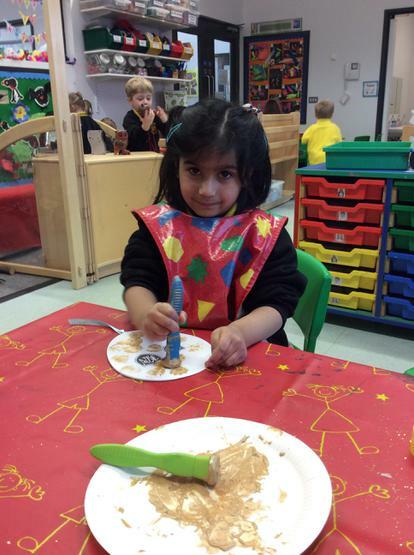 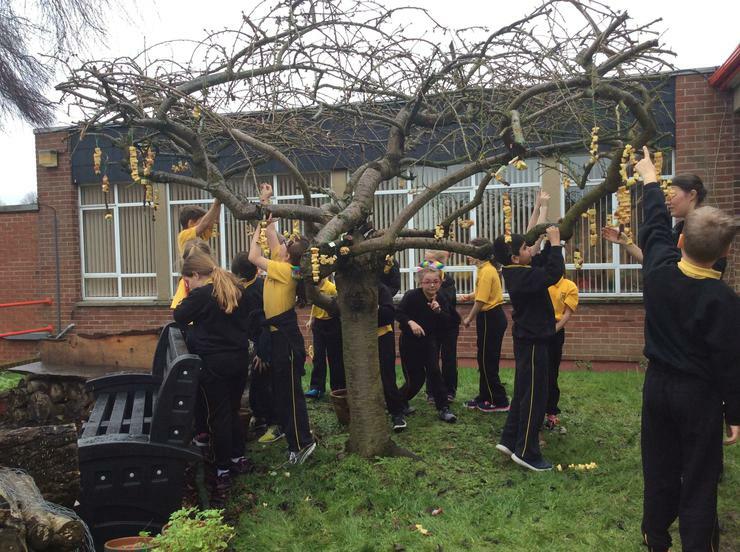 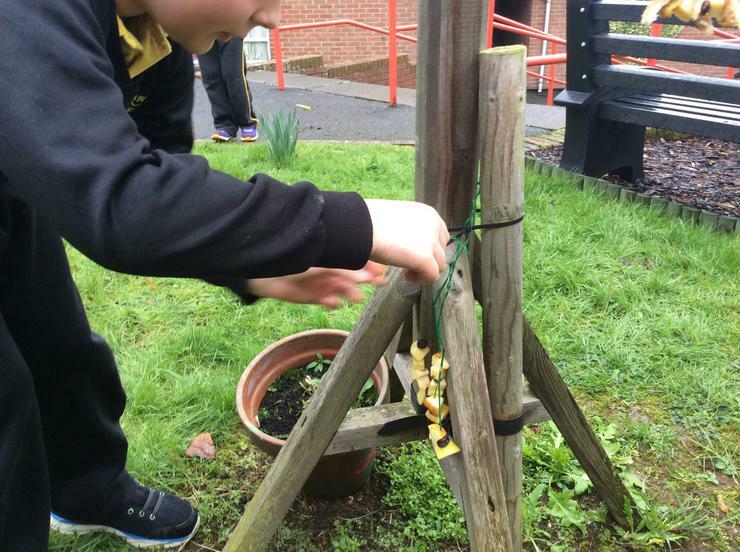 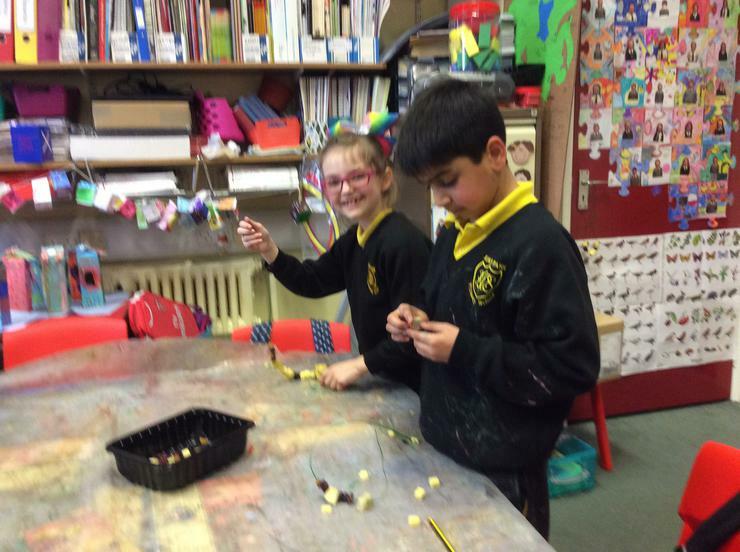 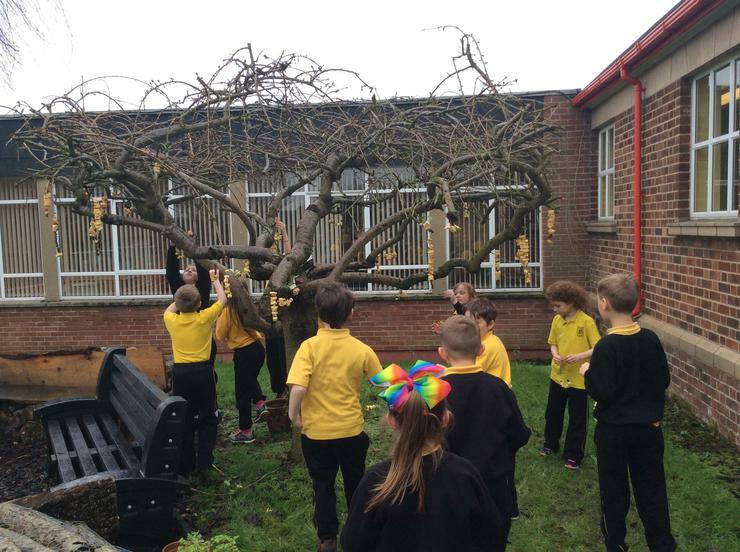 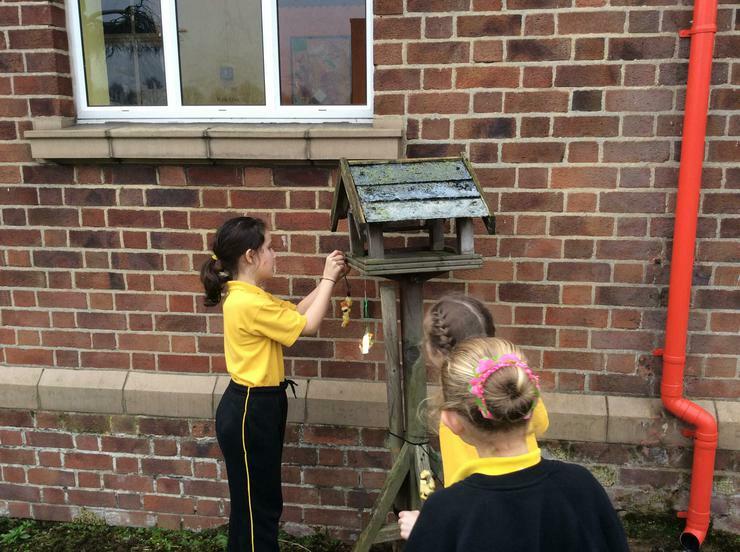 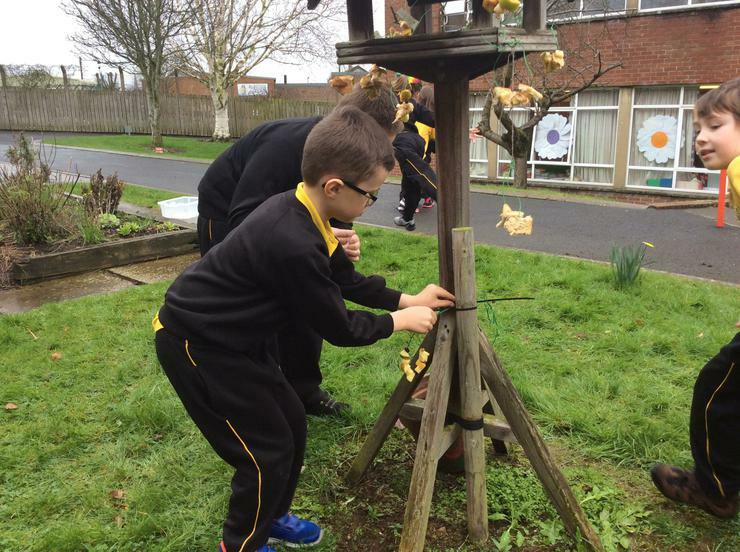 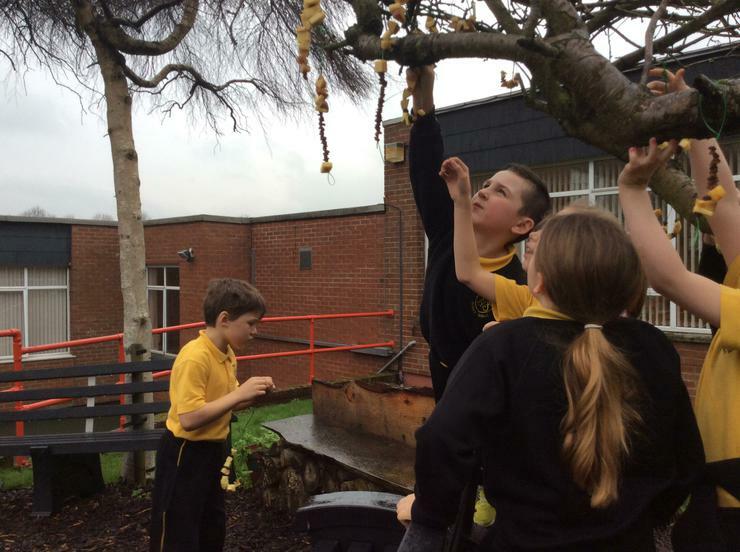 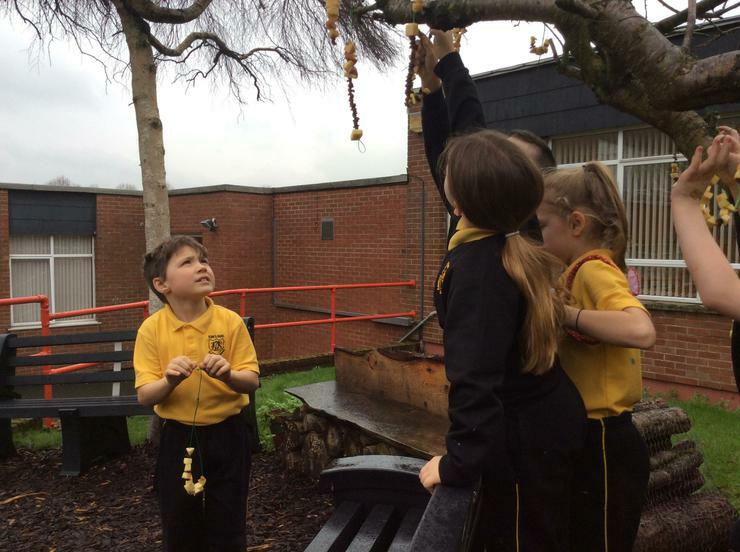 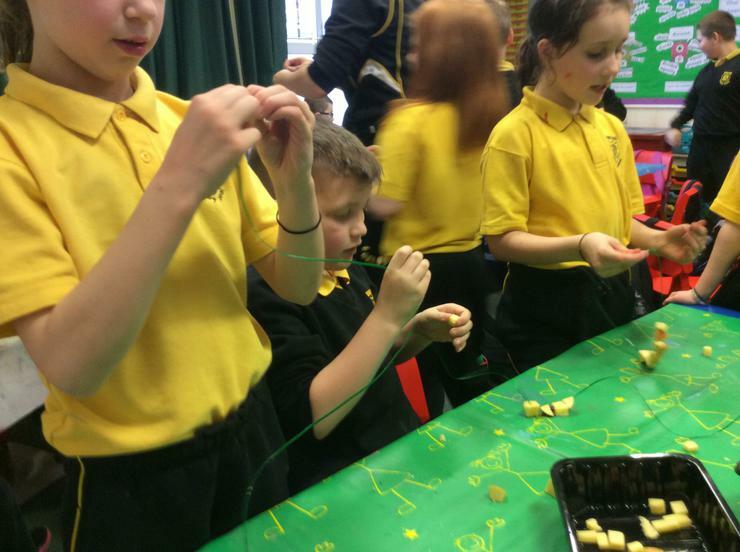 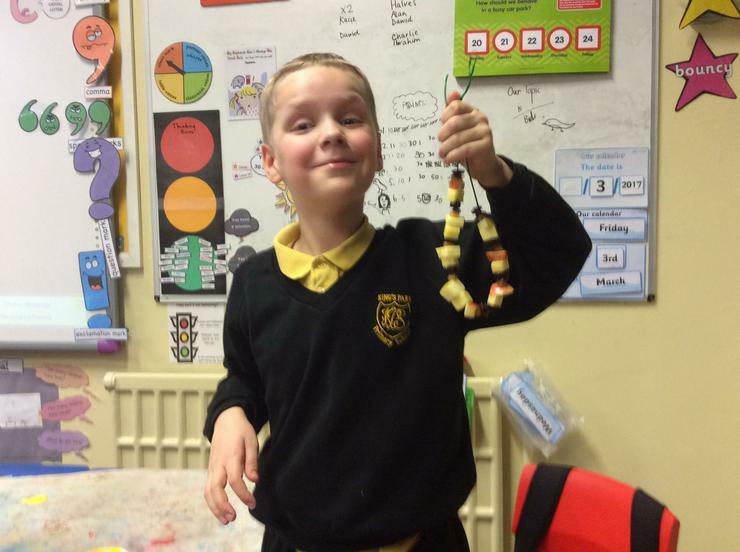 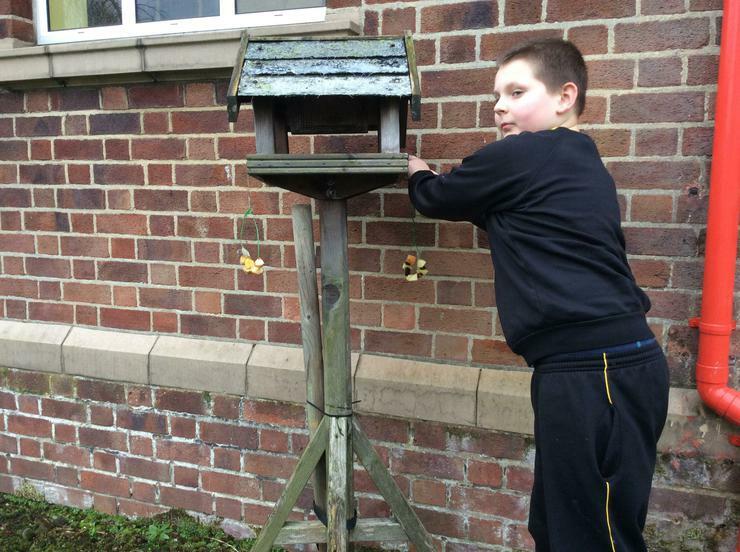 While we waited for them to dry we made fruit kebabs for the birds to eat around our school. 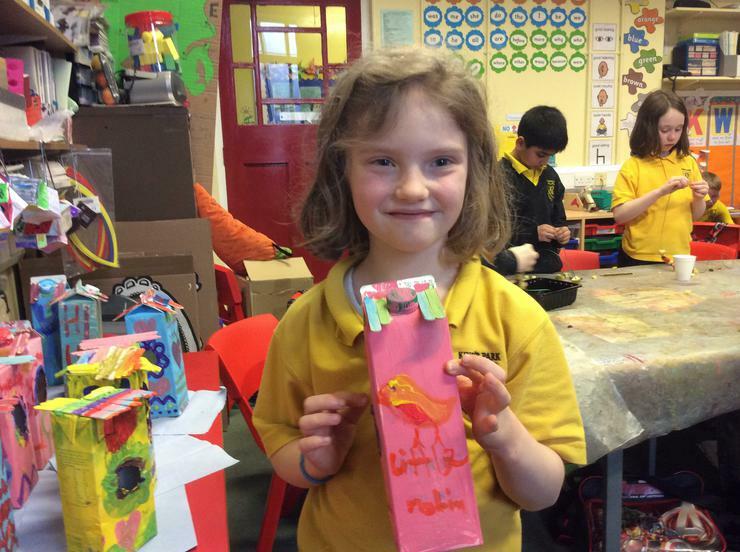 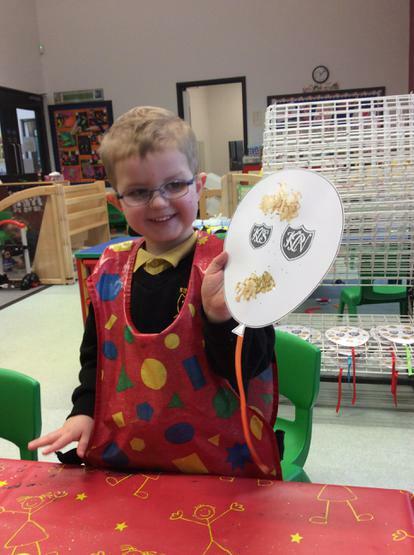 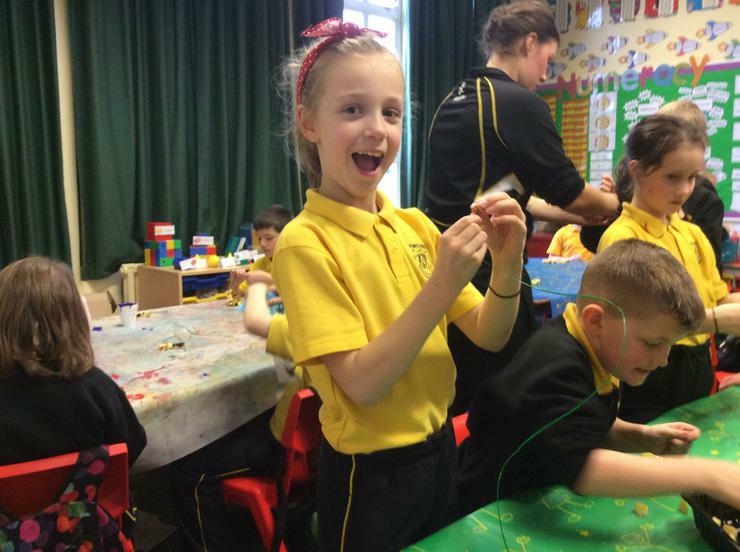 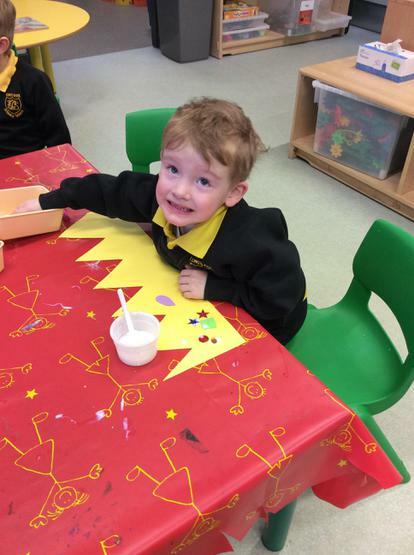 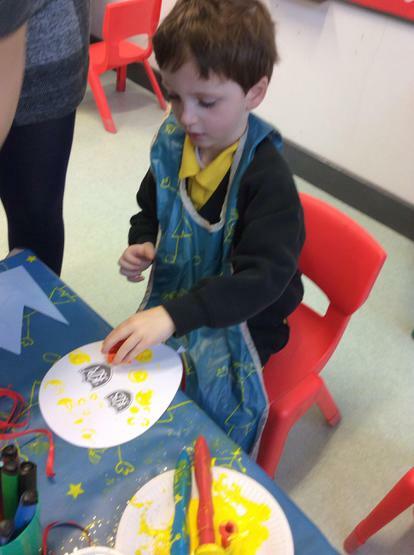 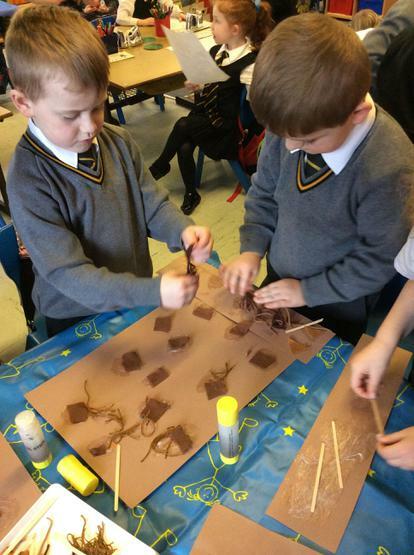 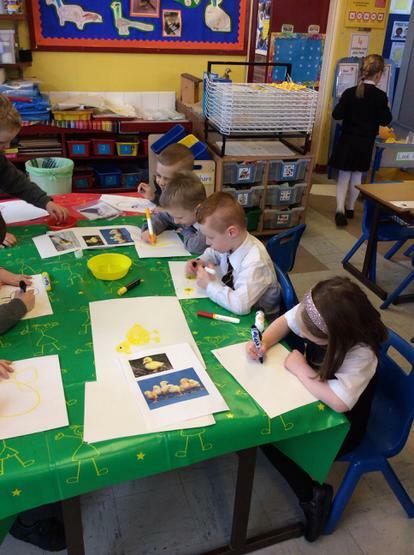 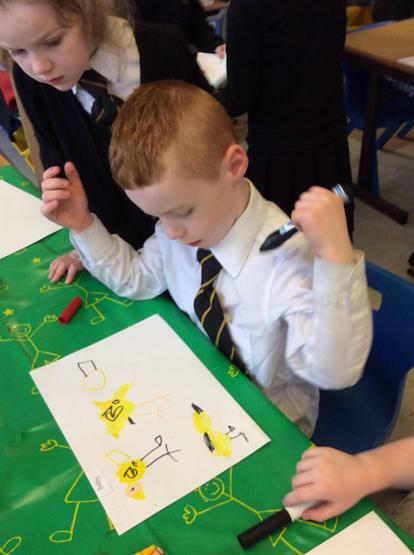 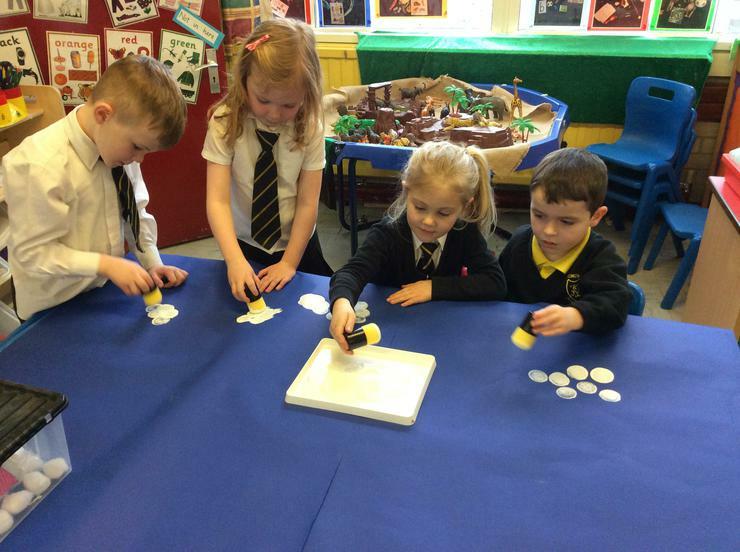 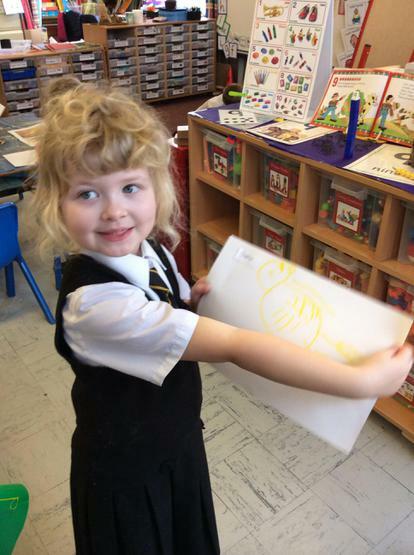 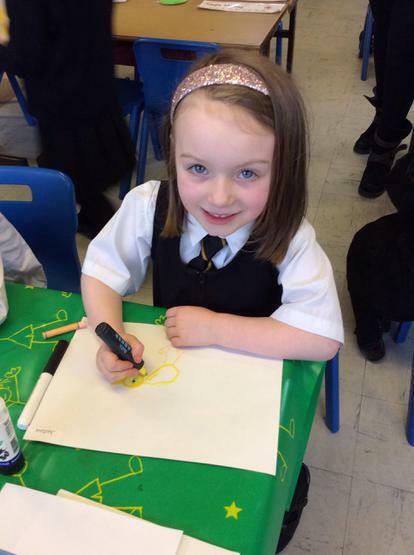 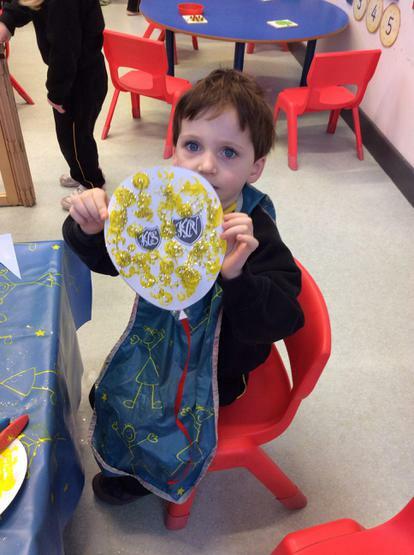 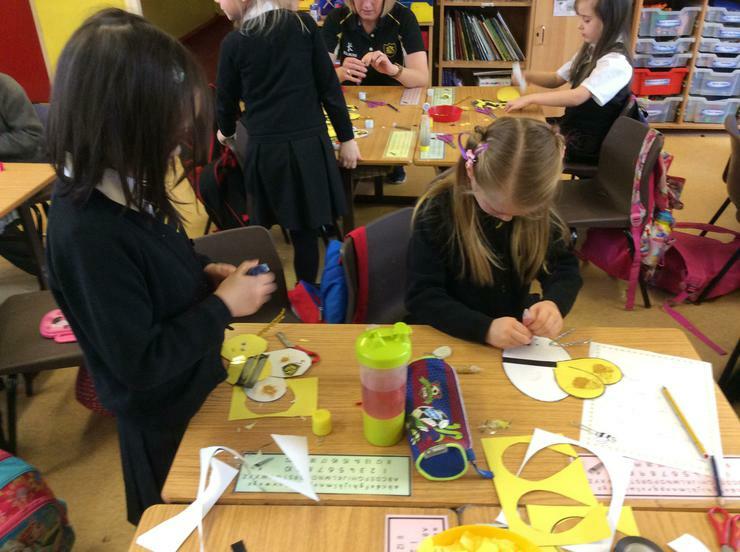 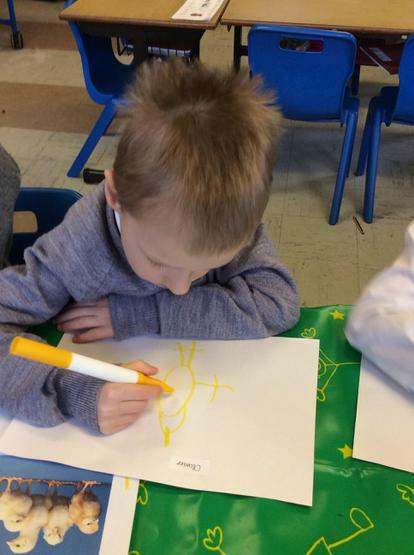 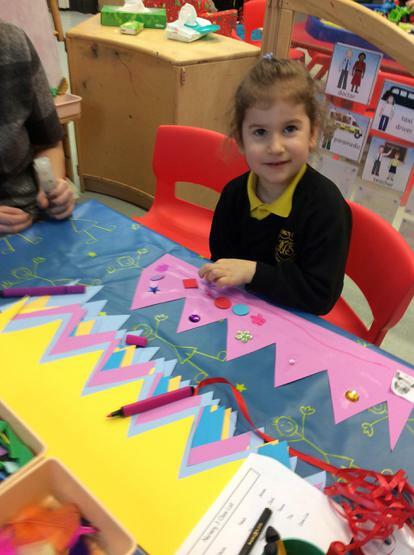 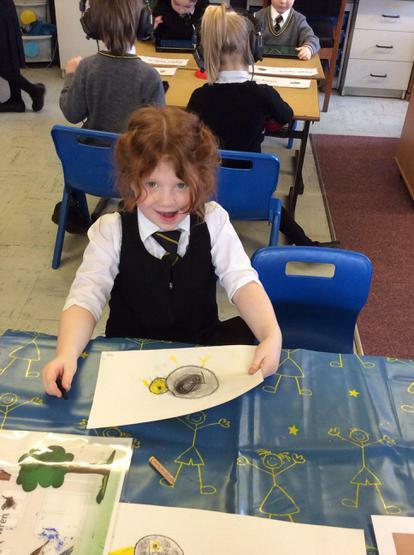 Art Day P1S. 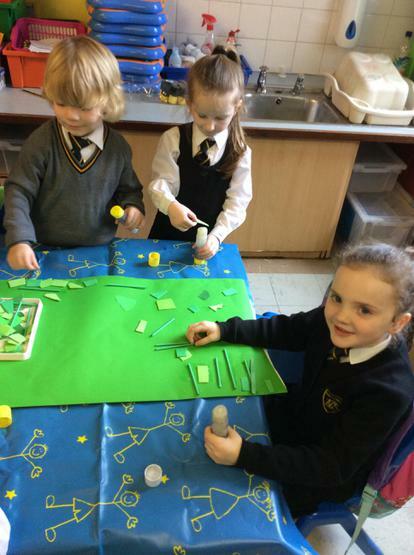 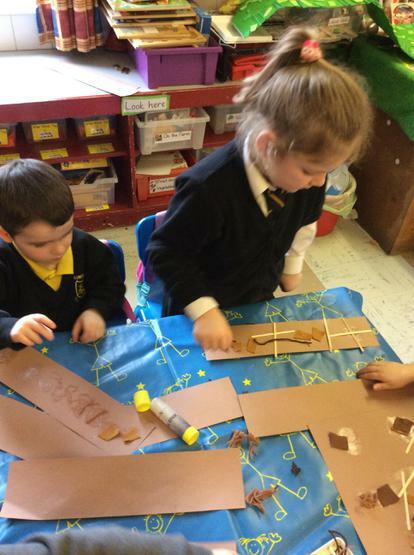 We worked together and made a collage picture of Lurgan Park. 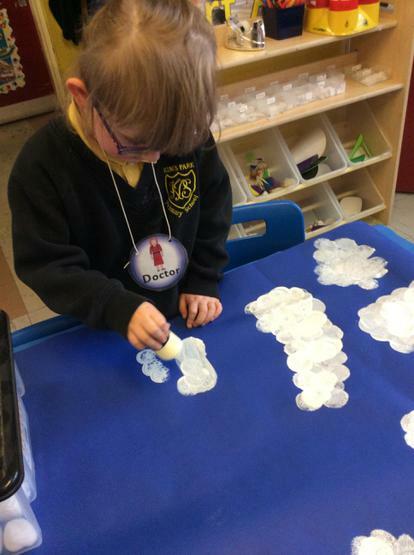 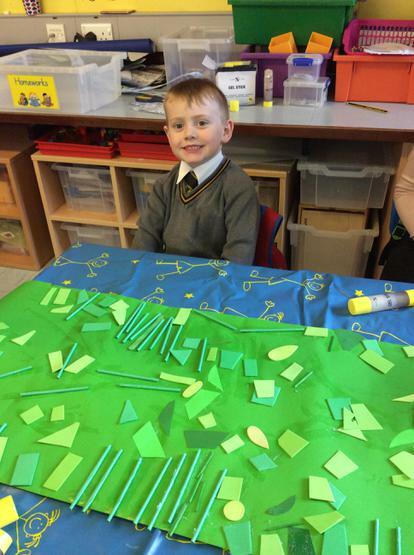 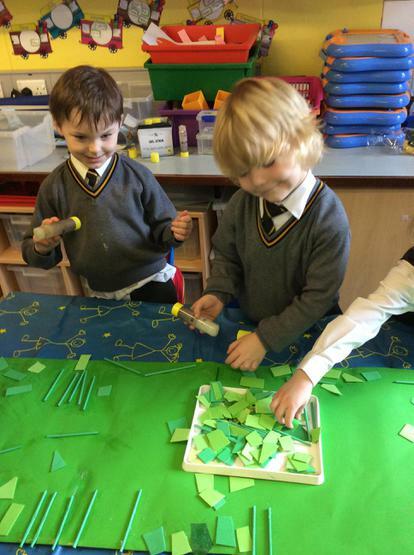 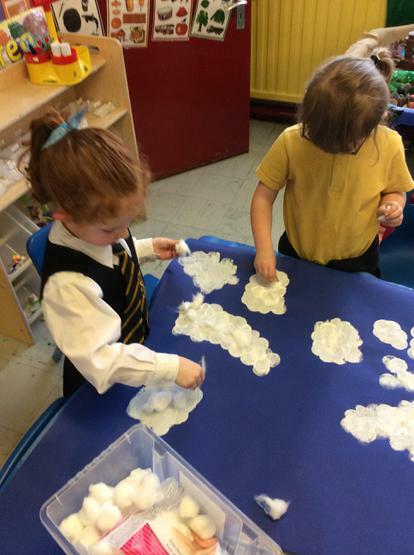 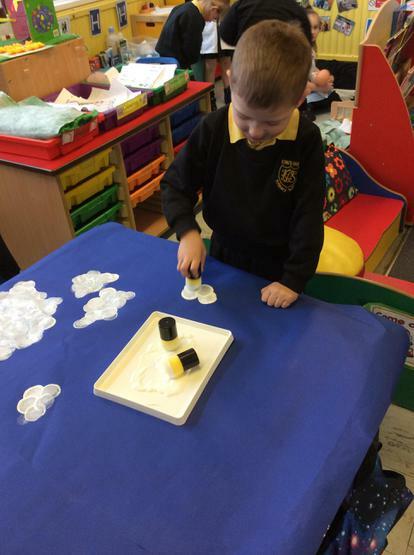 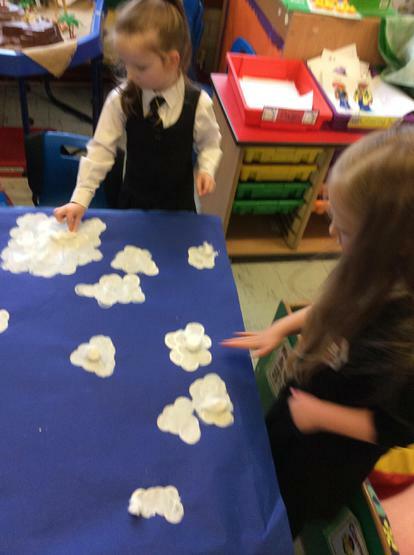 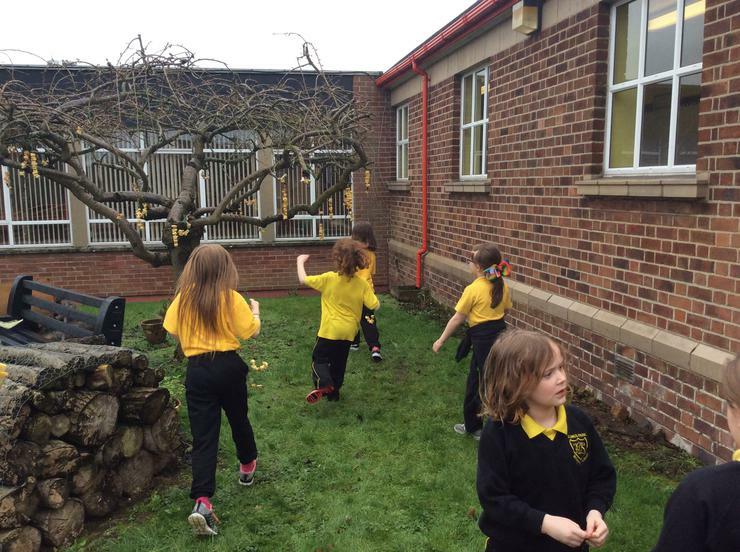 We made a sky, some grass and a tree for our birds to sit in.